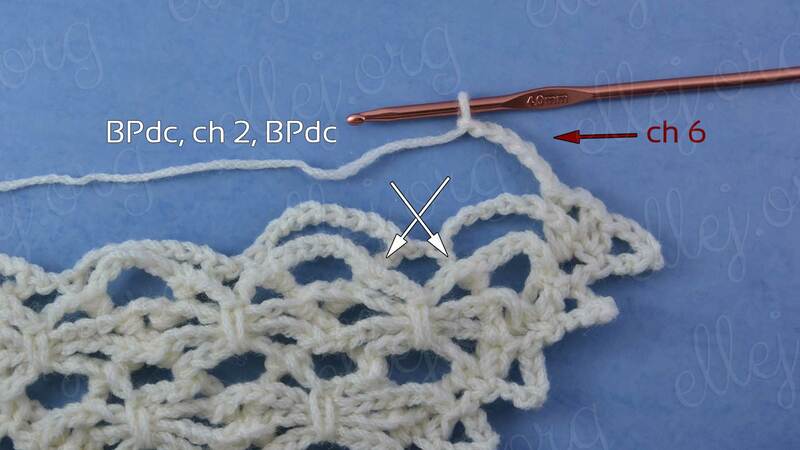 This crochet pattern I came up with very fast, and that’s how it embed into shawl I had to invent. 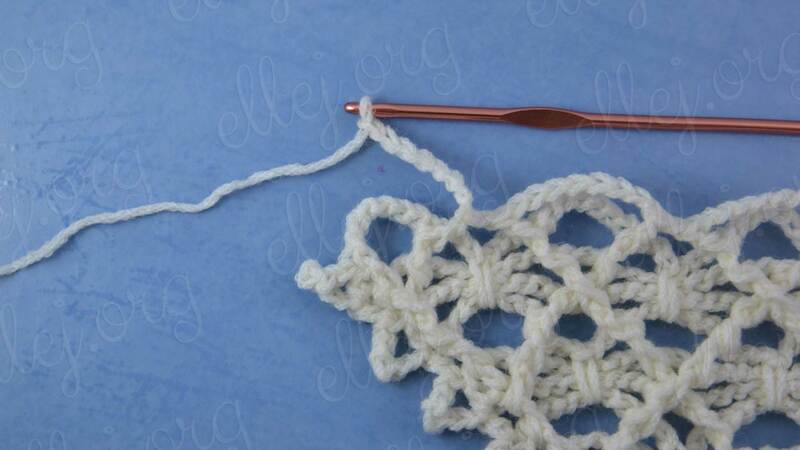 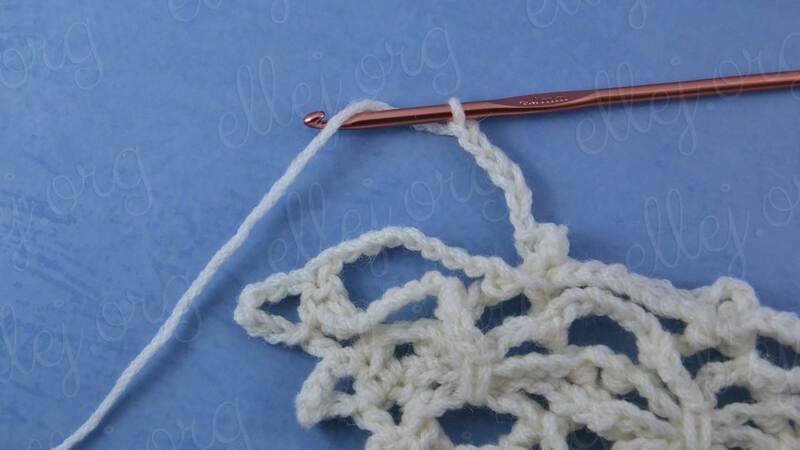 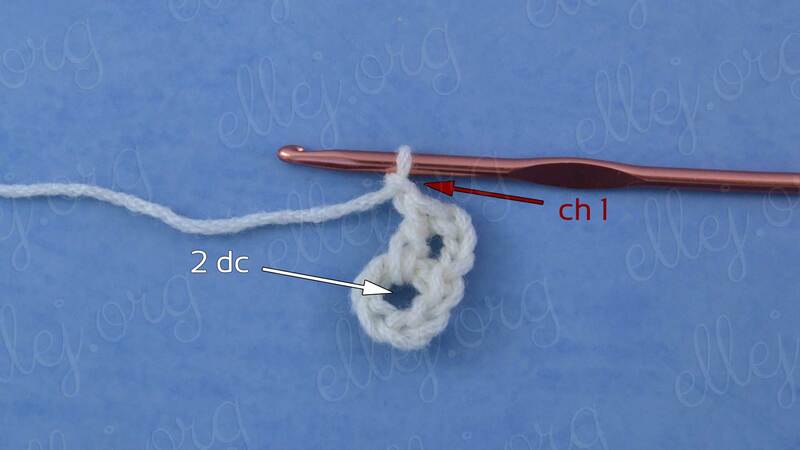 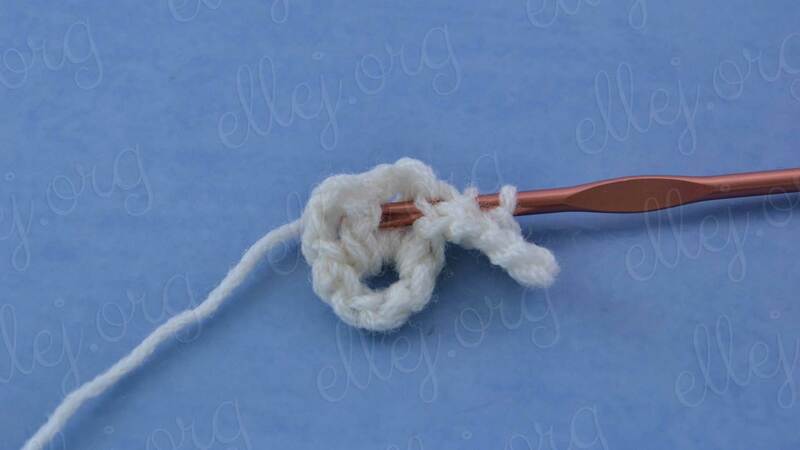 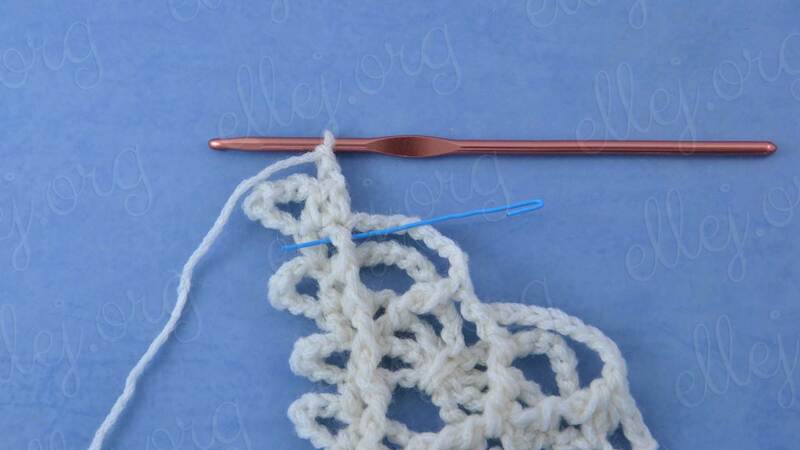 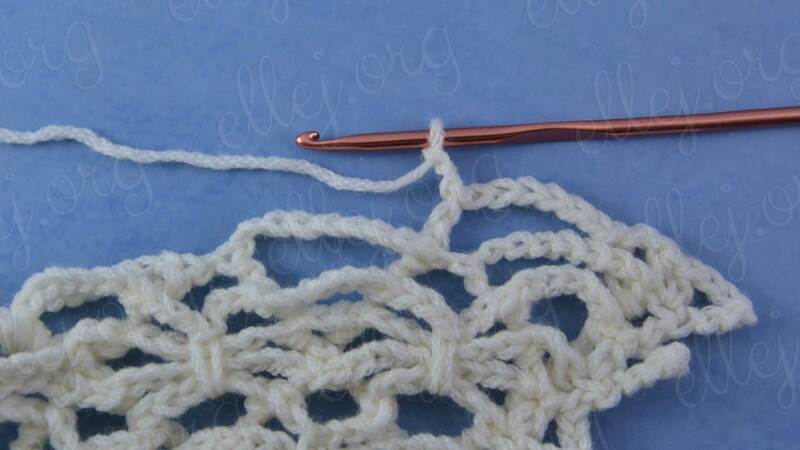 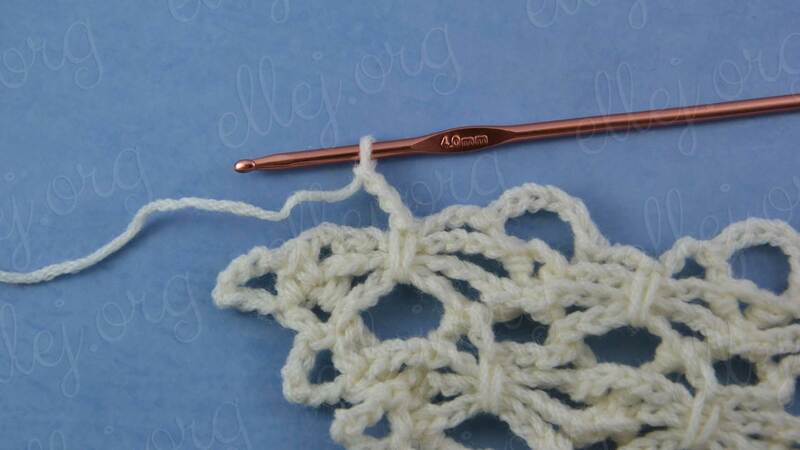 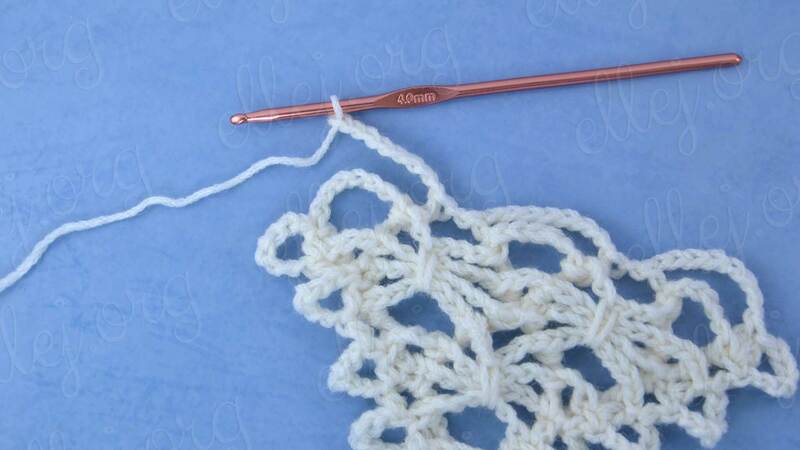 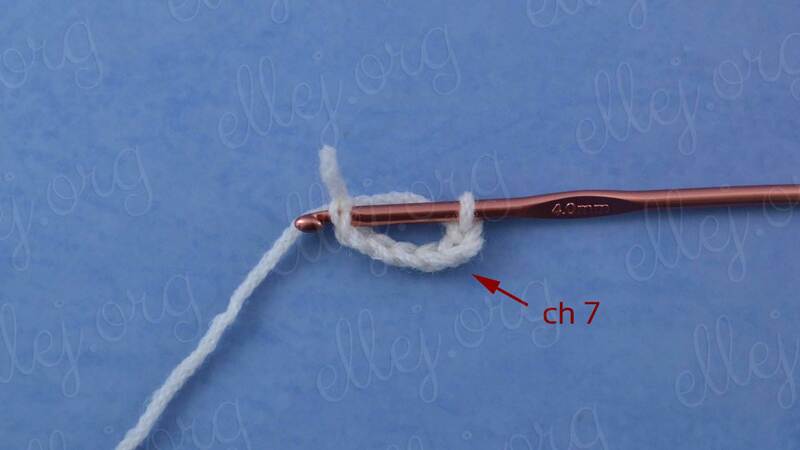 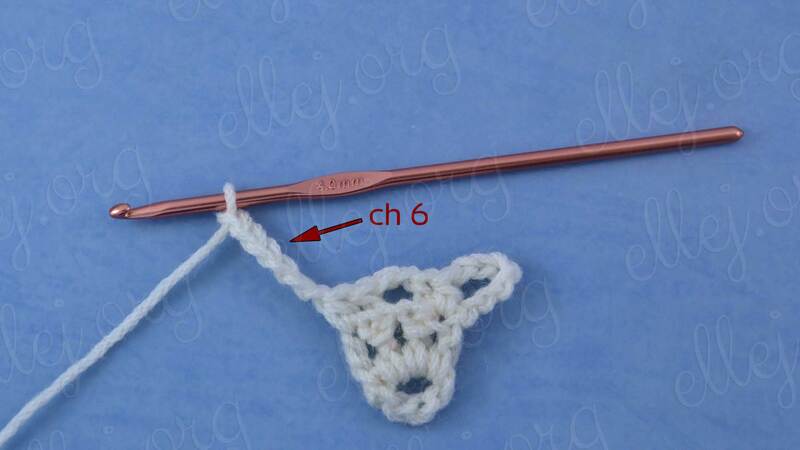 That is why at the beginning and end of each rows we work half double crochets. 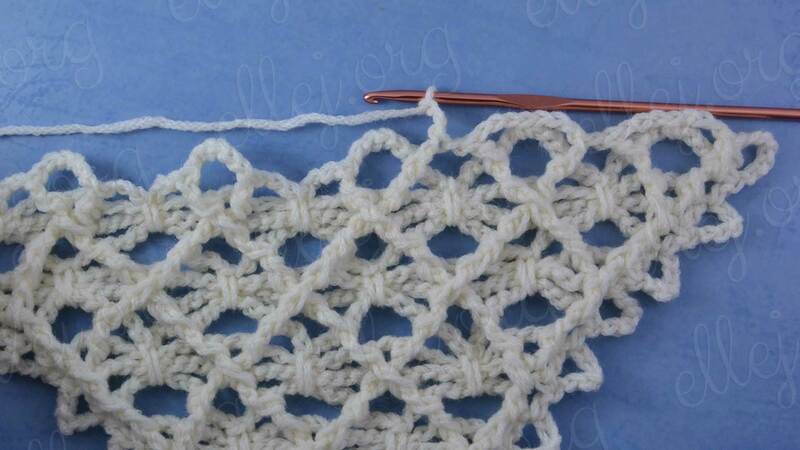 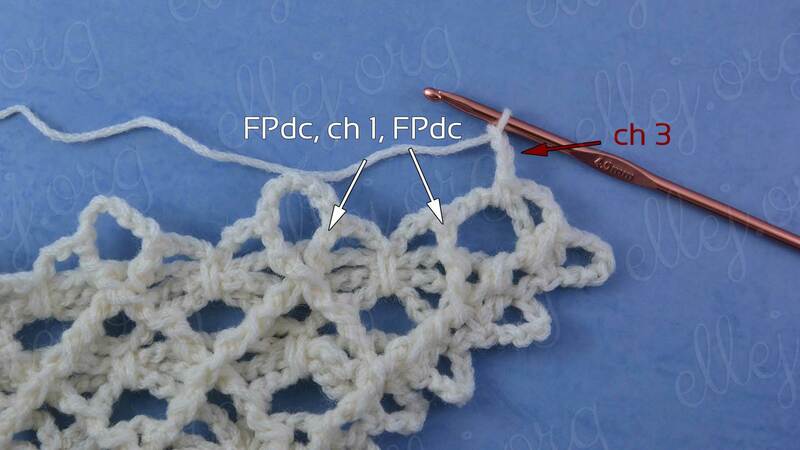 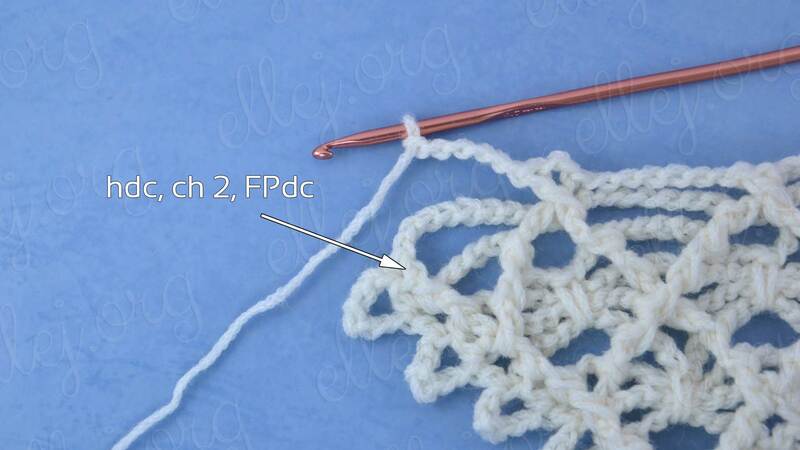 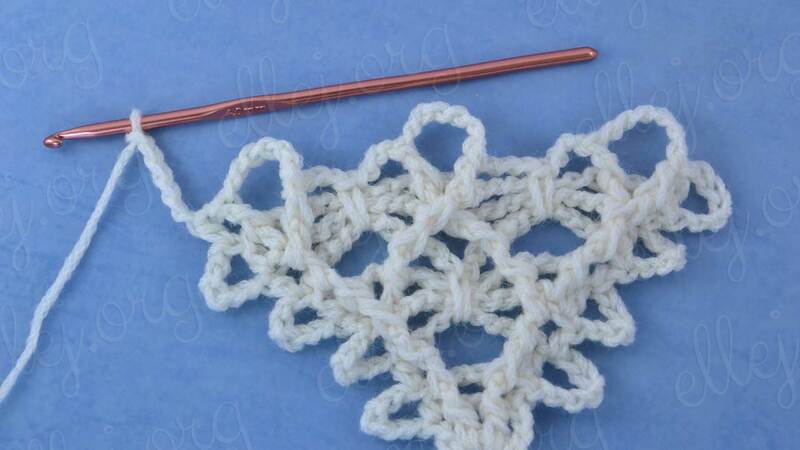 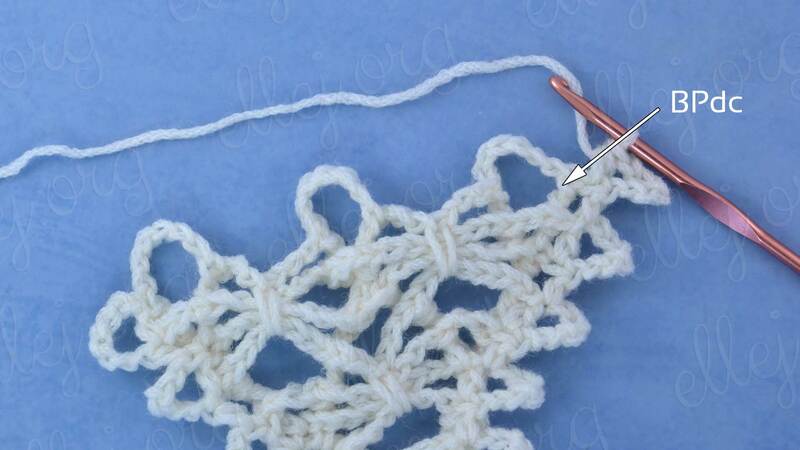 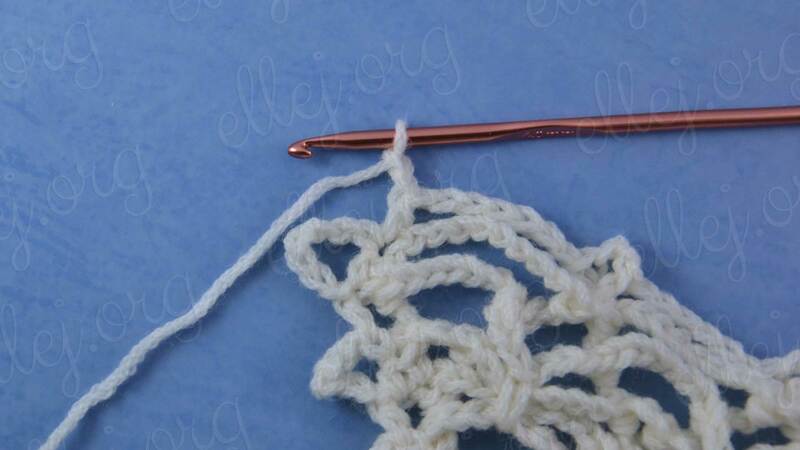 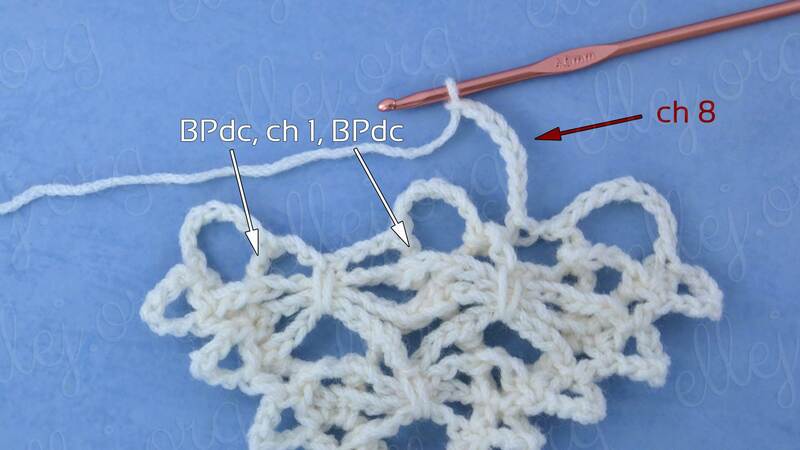 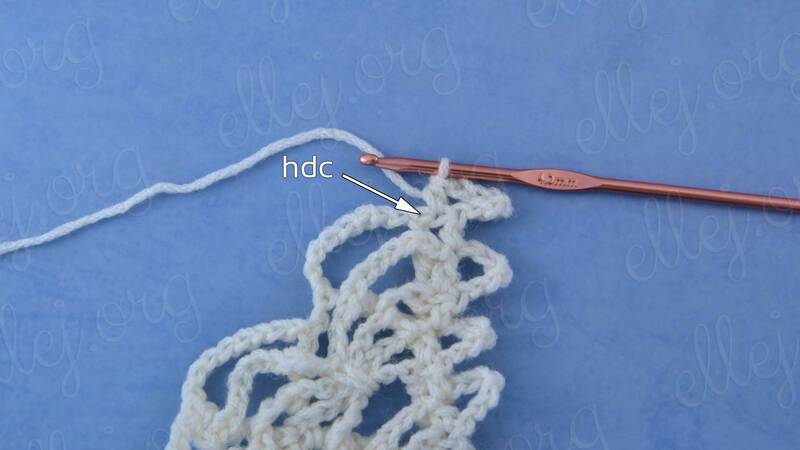 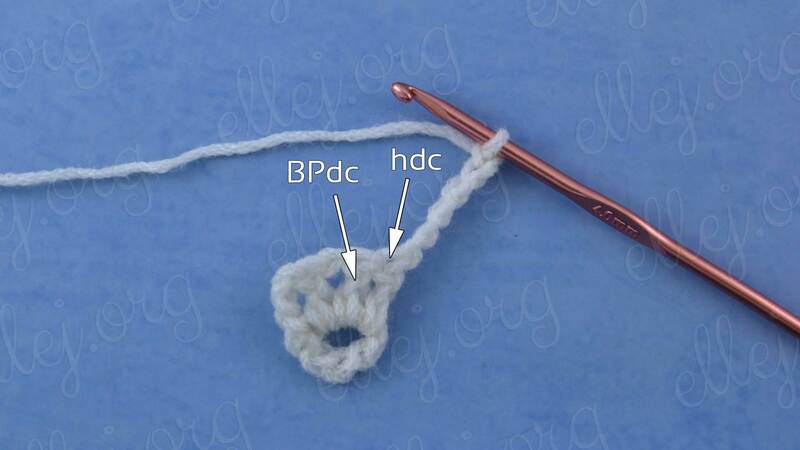 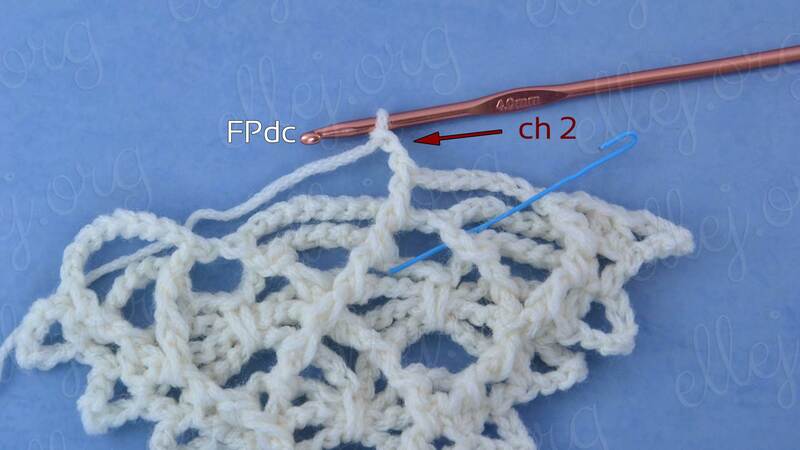 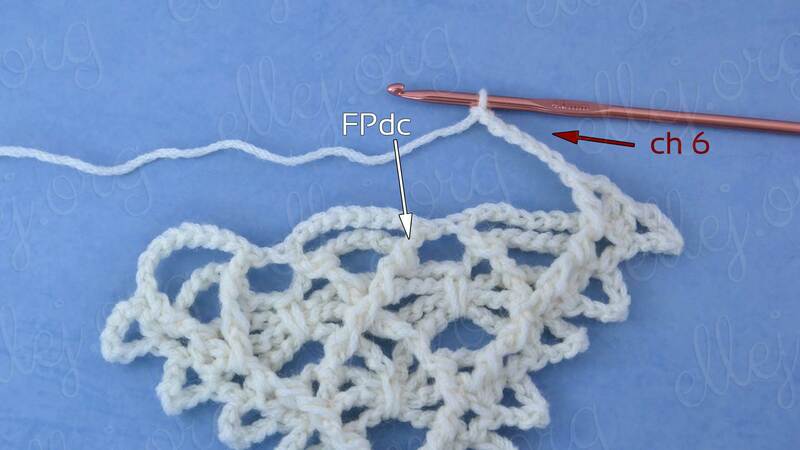 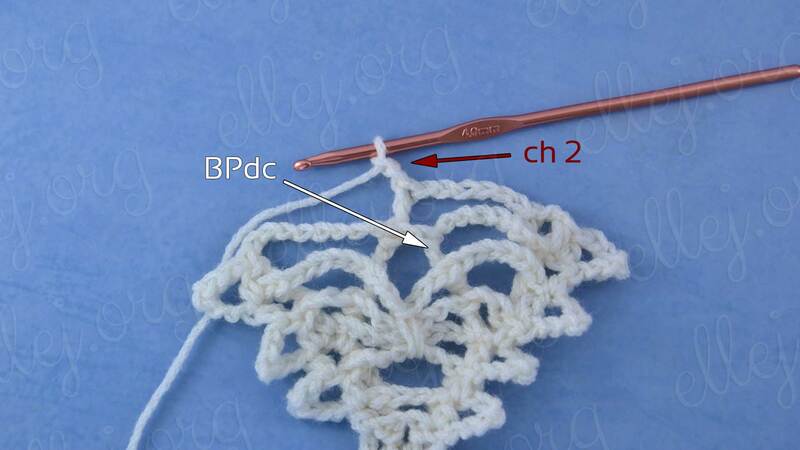 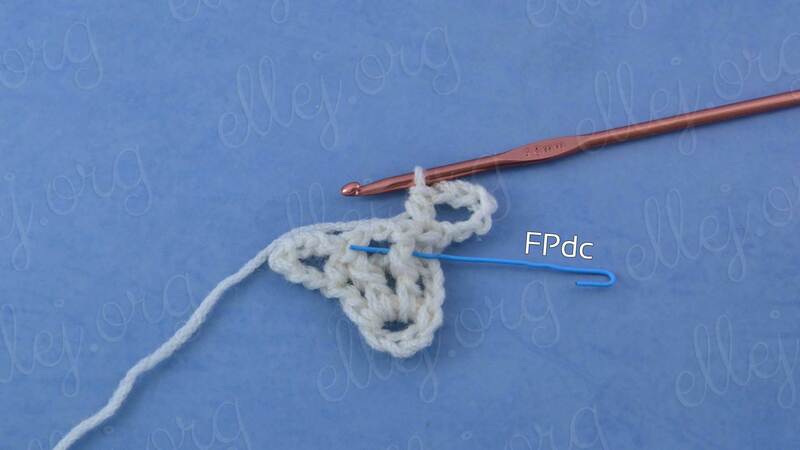 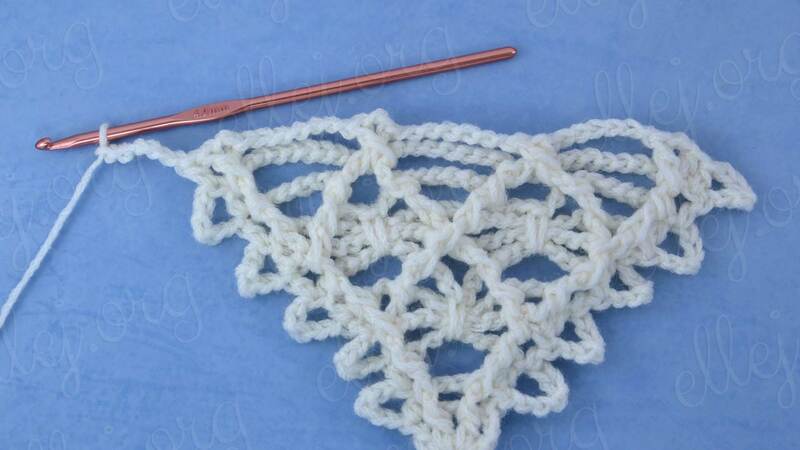 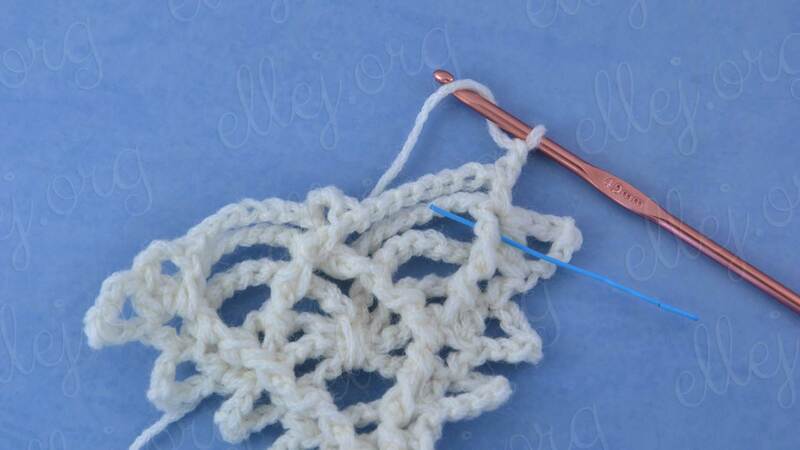 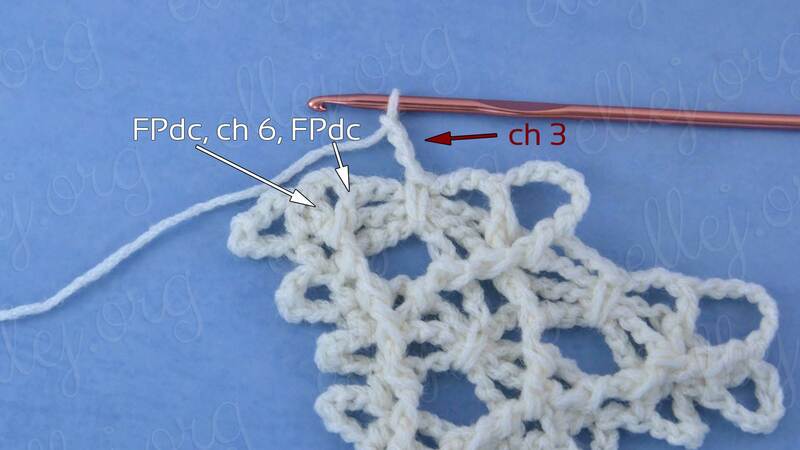 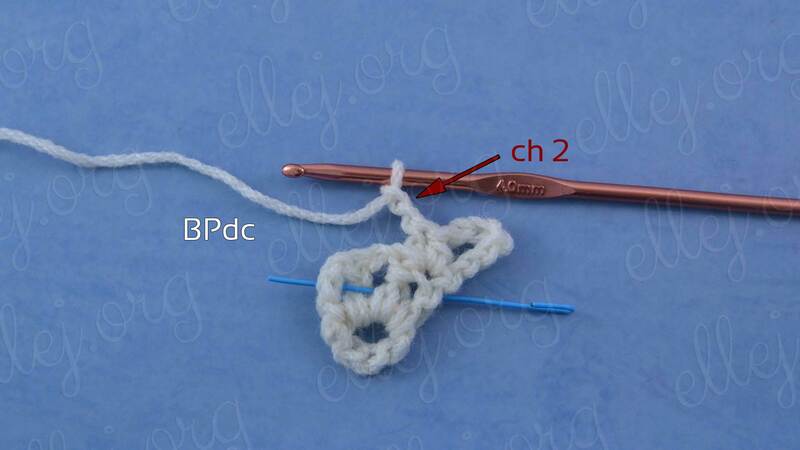 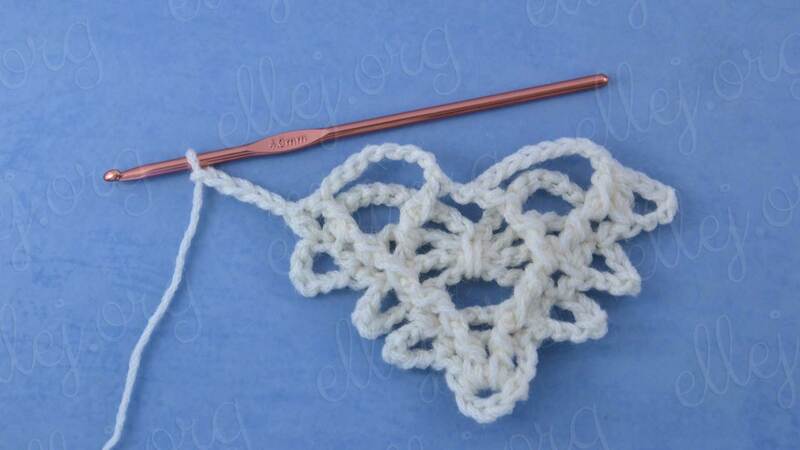 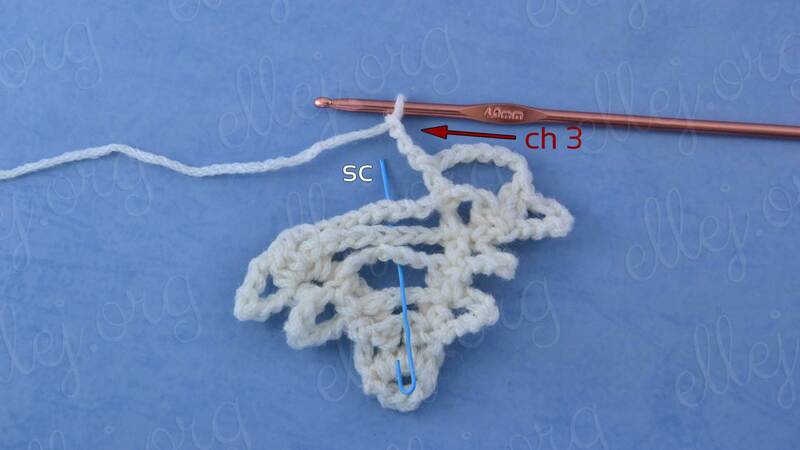 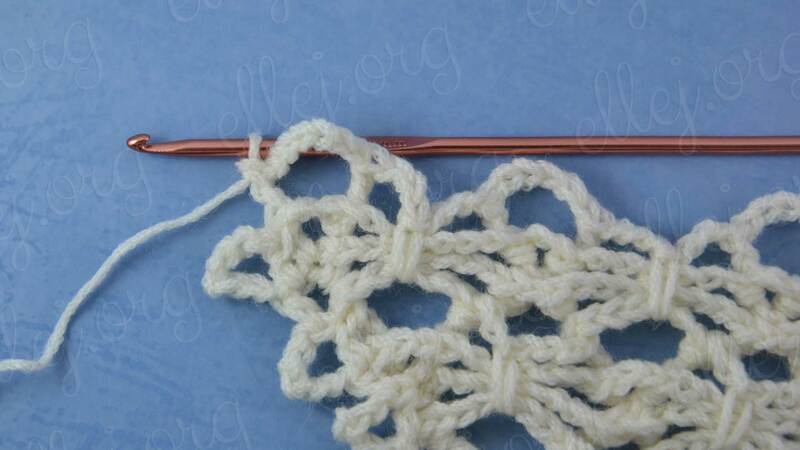 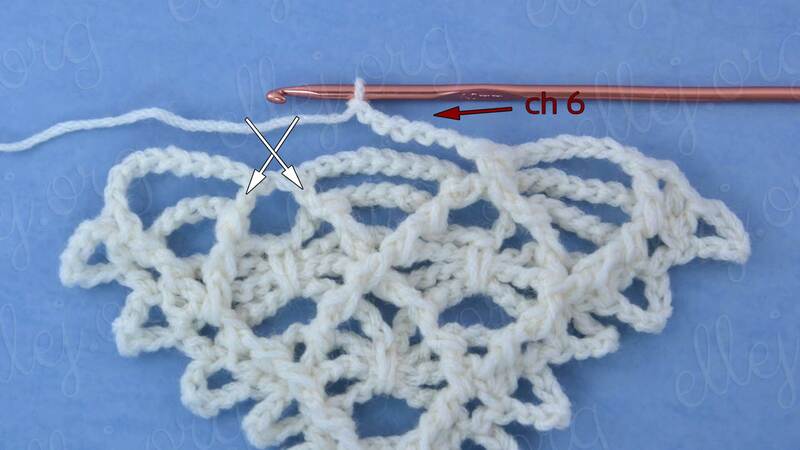 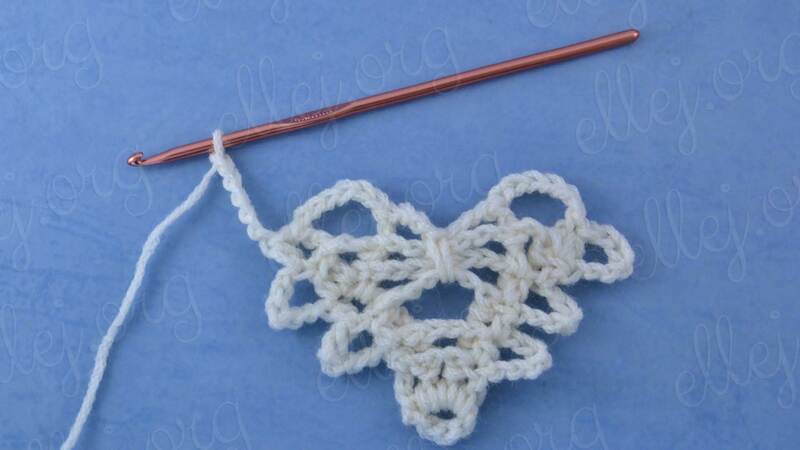 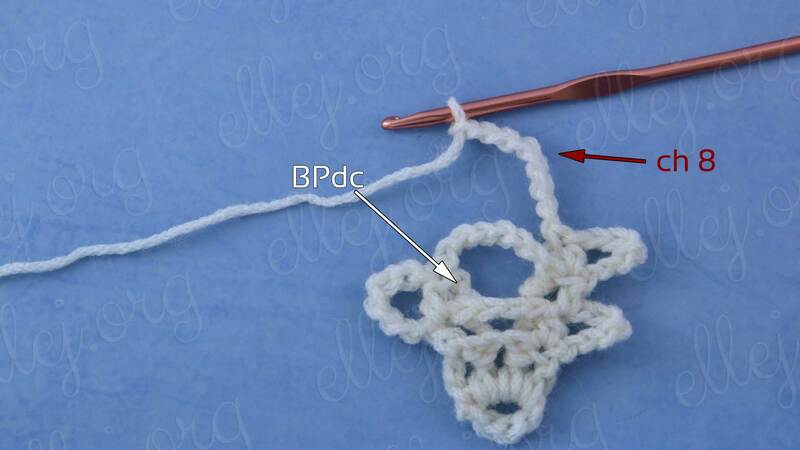 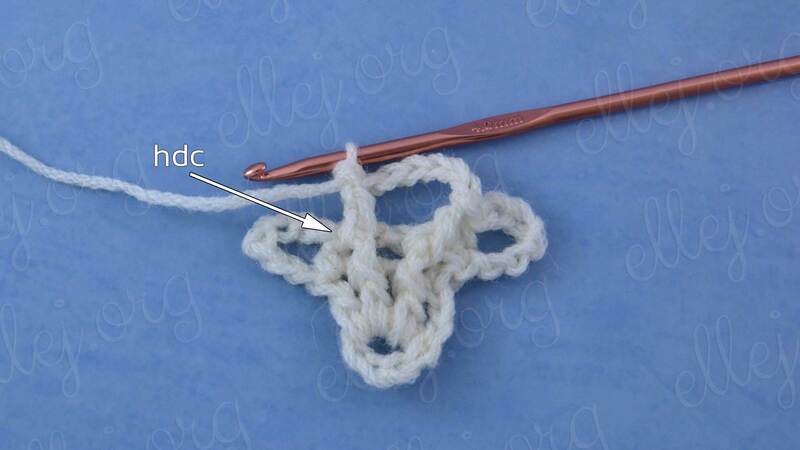 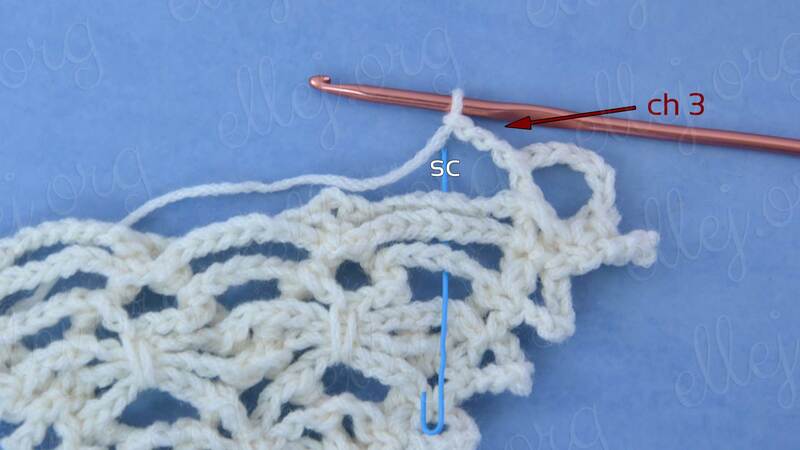 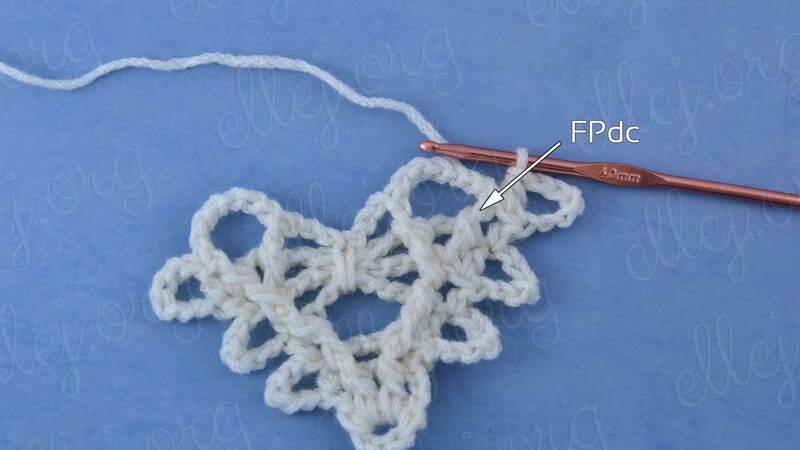 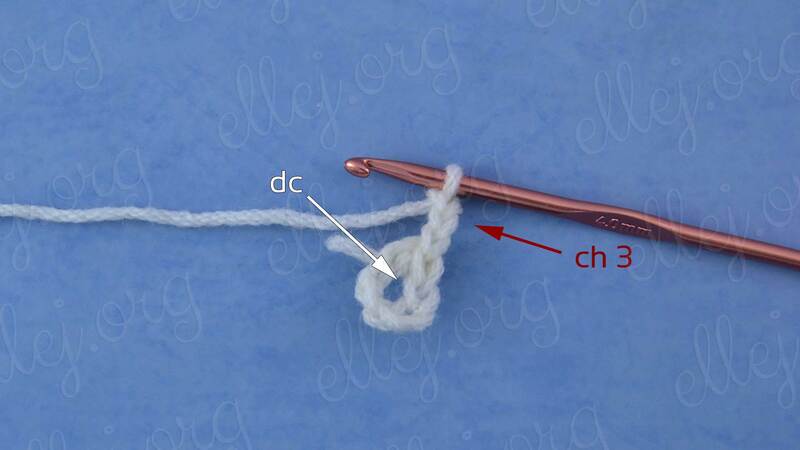 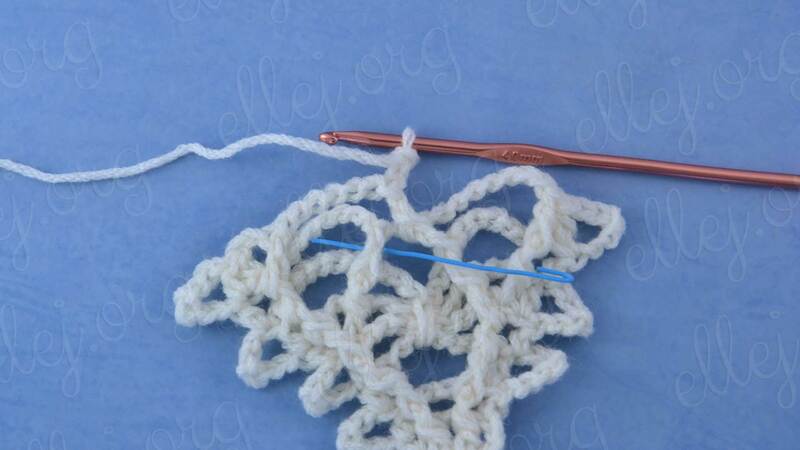 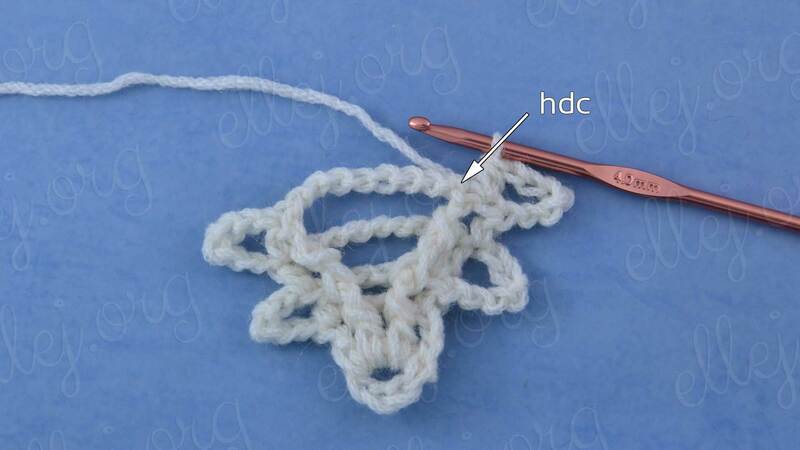 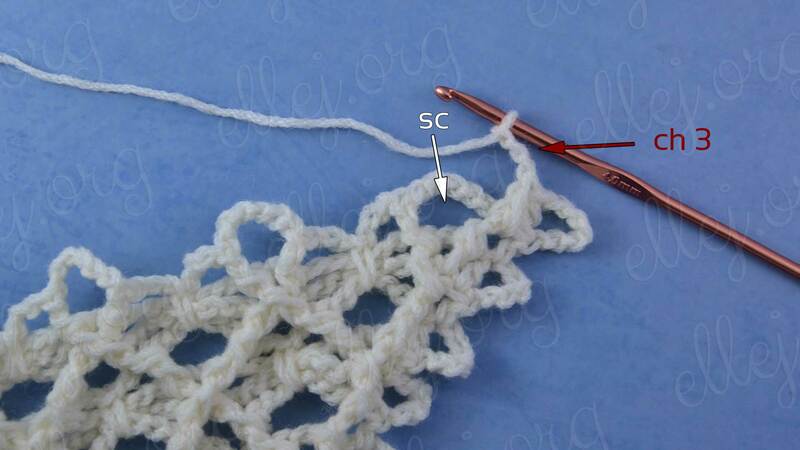 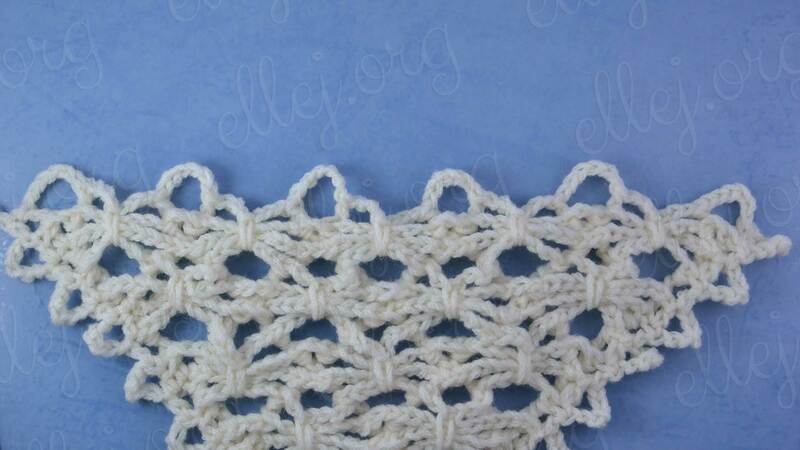 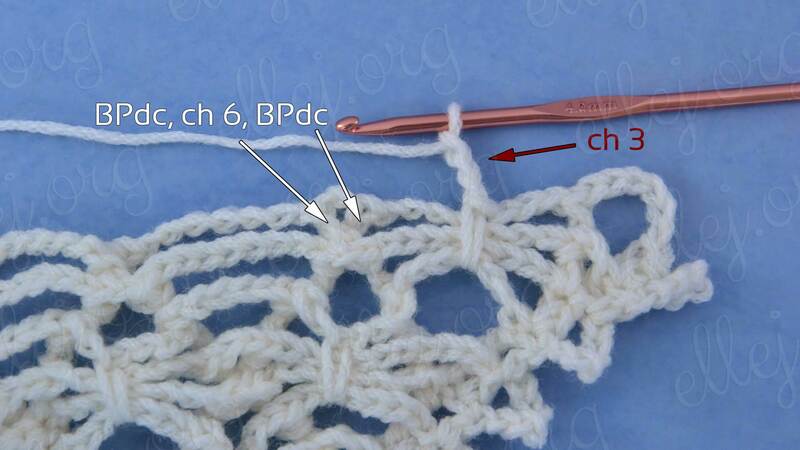 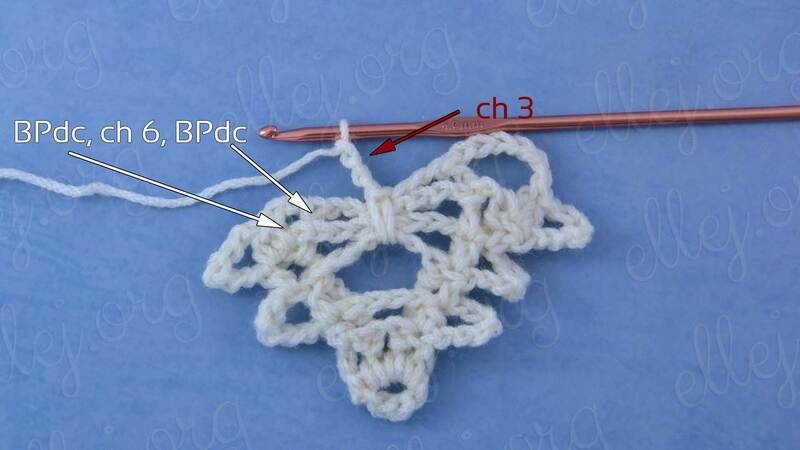 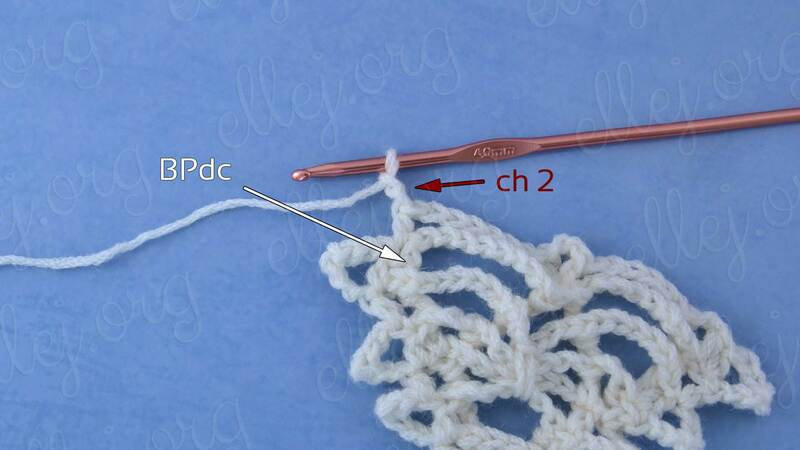 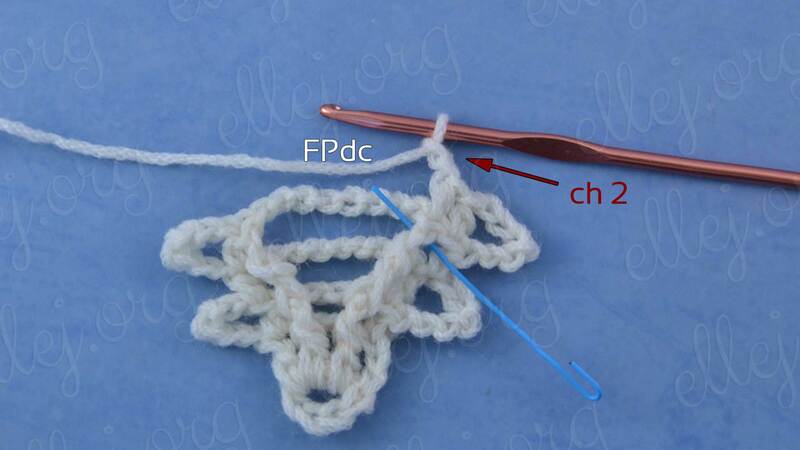 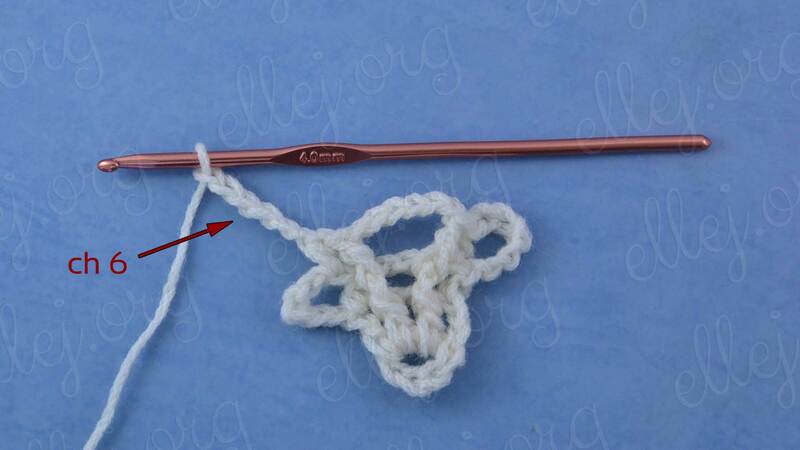 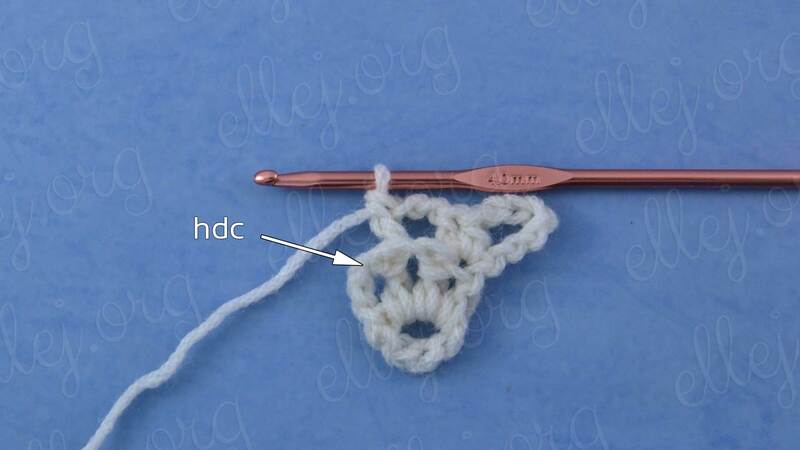 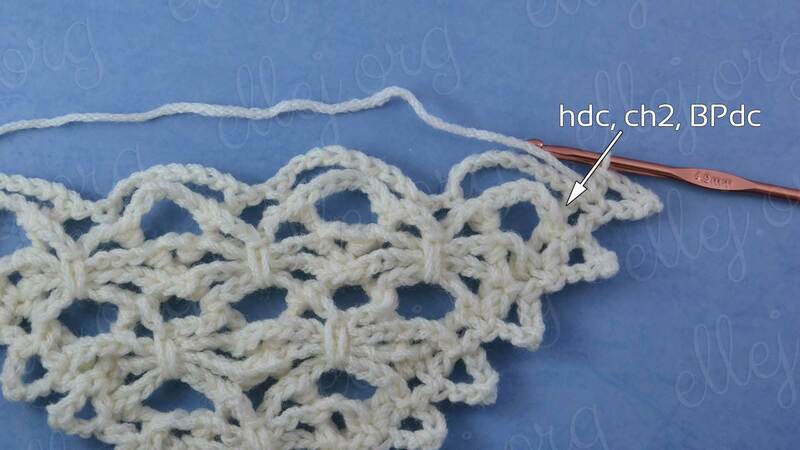 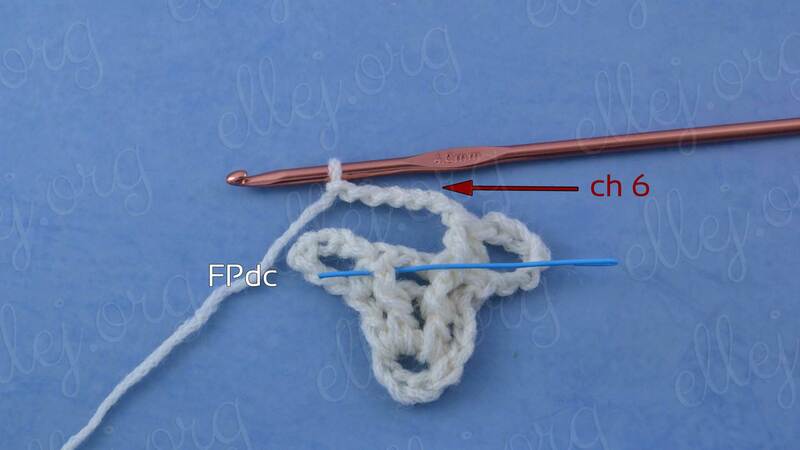 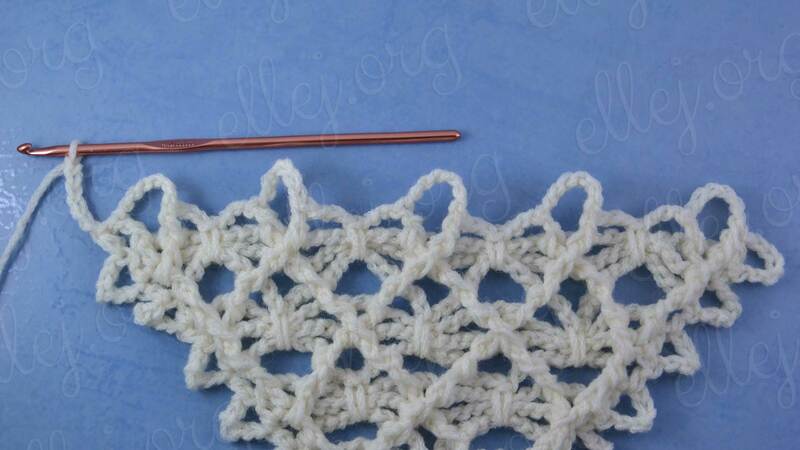 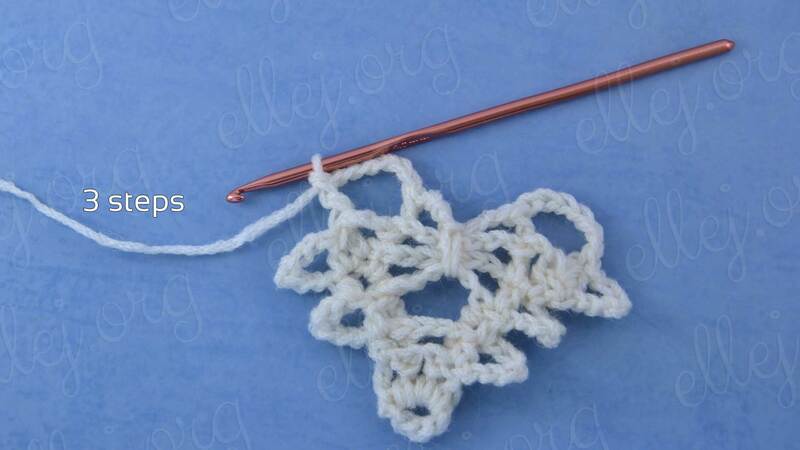 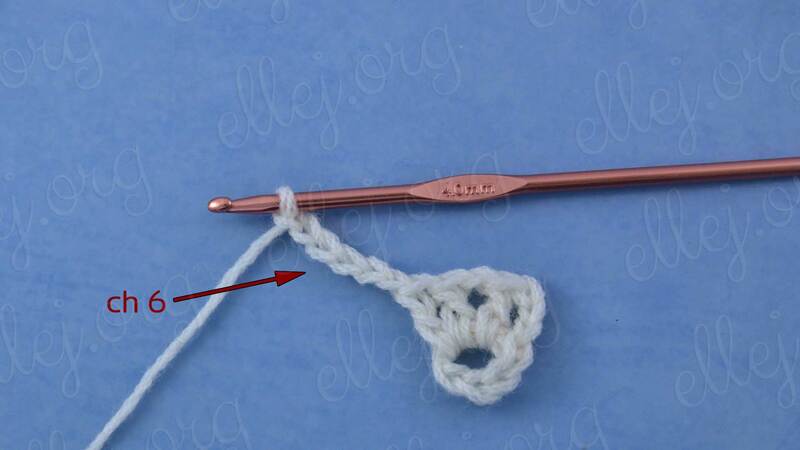 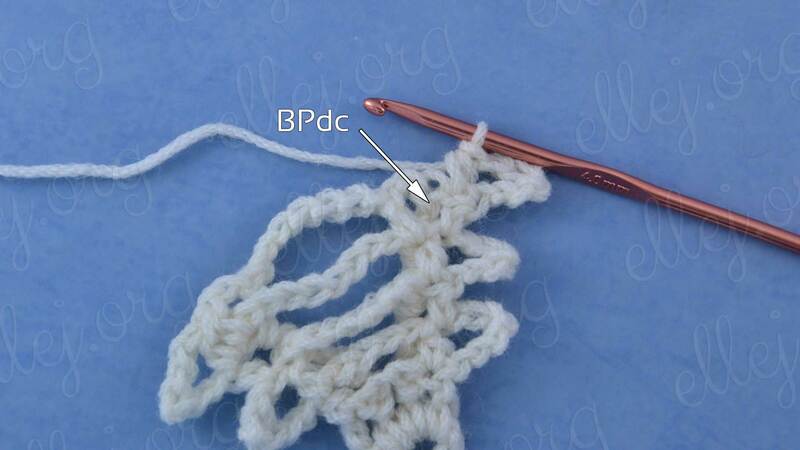 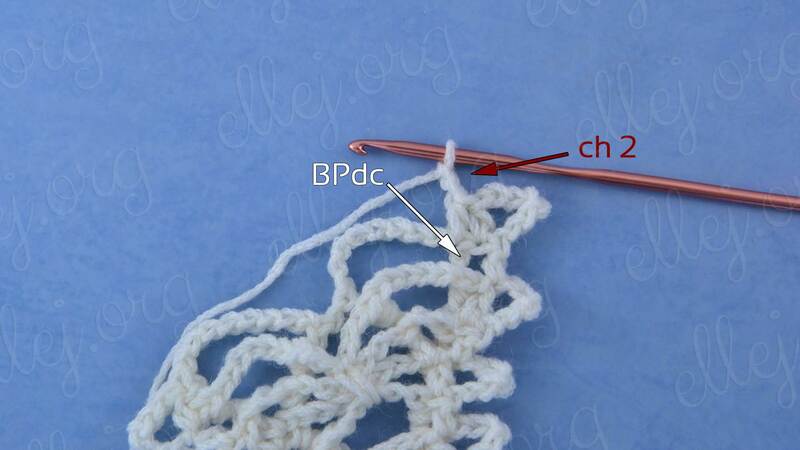 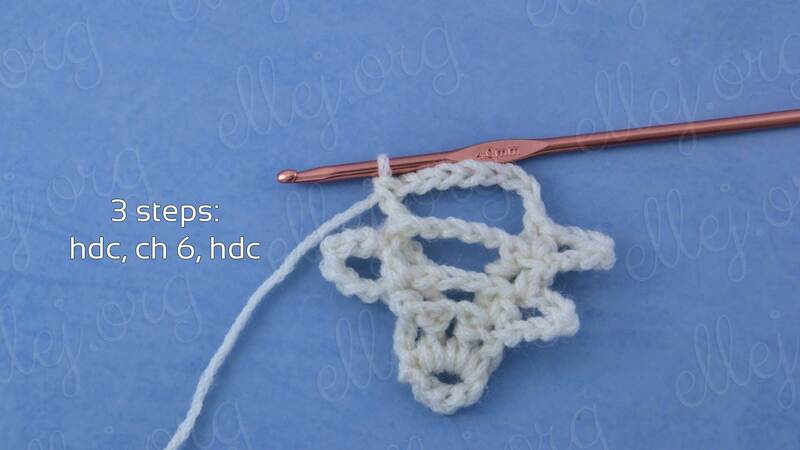 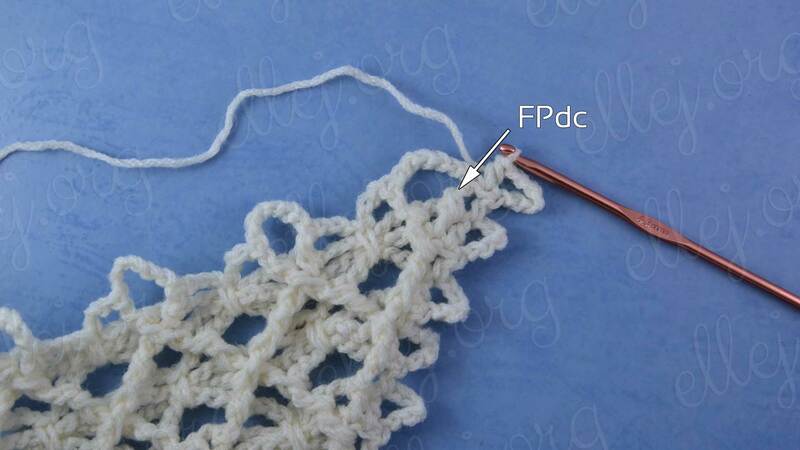 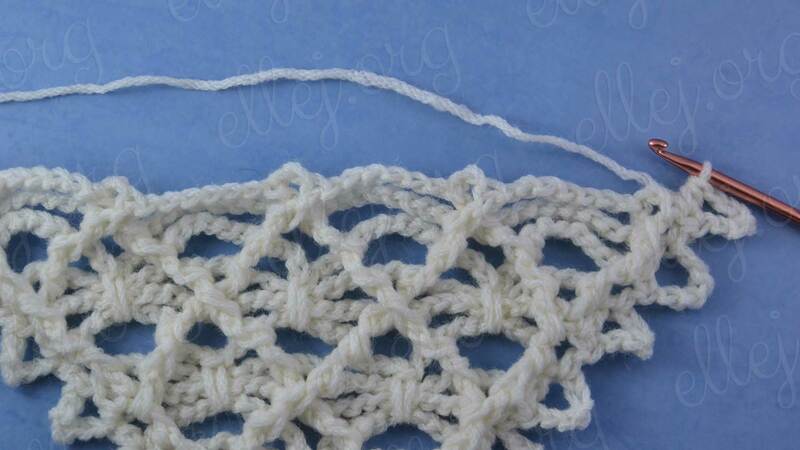 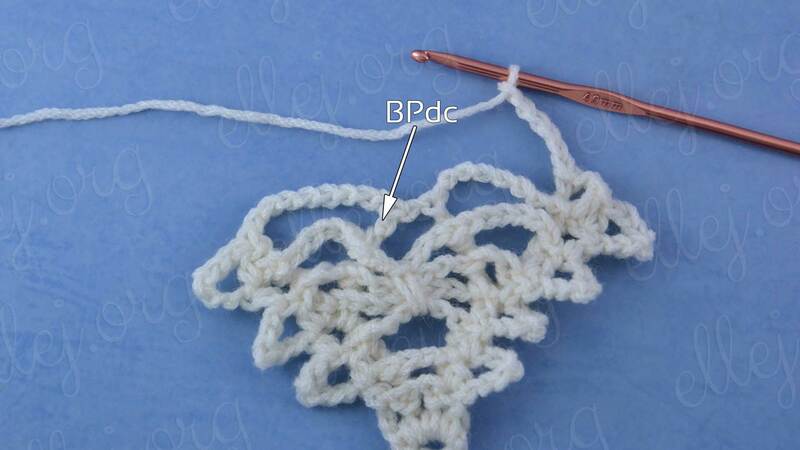 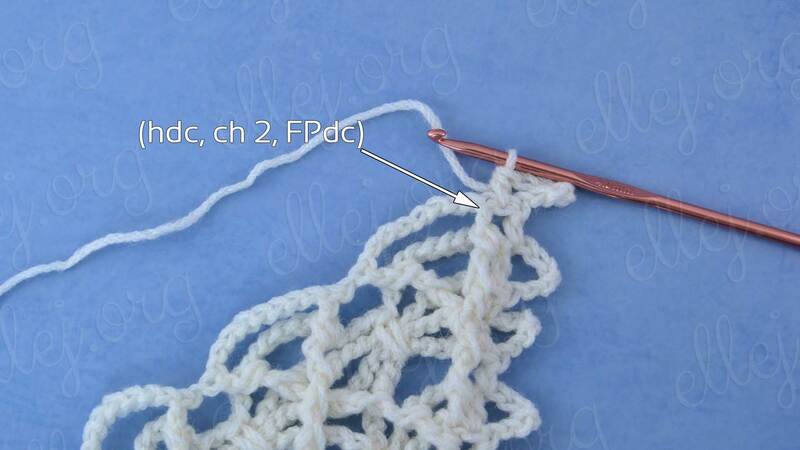 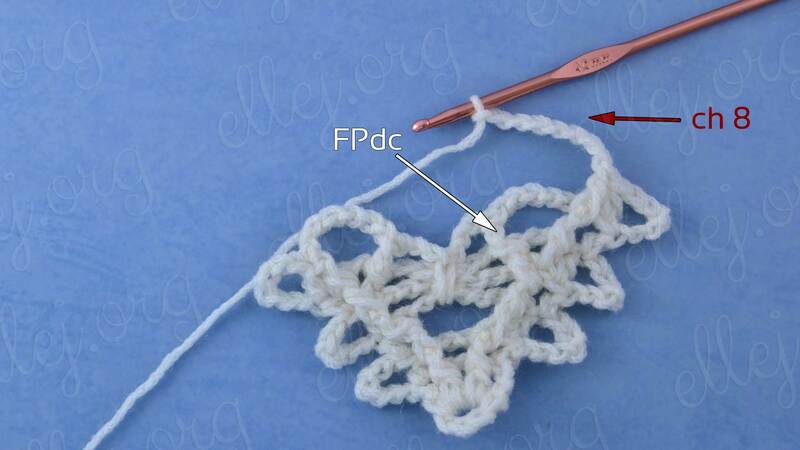 Lacy spiders are in a diamonds of the FPdc and BPdc, which height lower than double crochets. 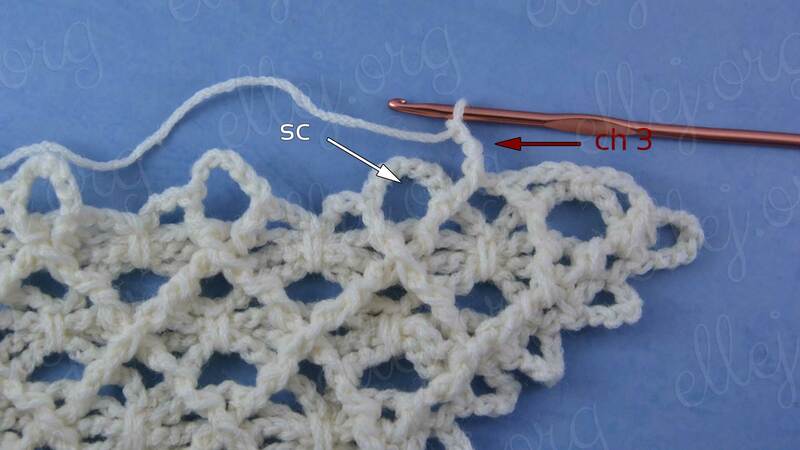 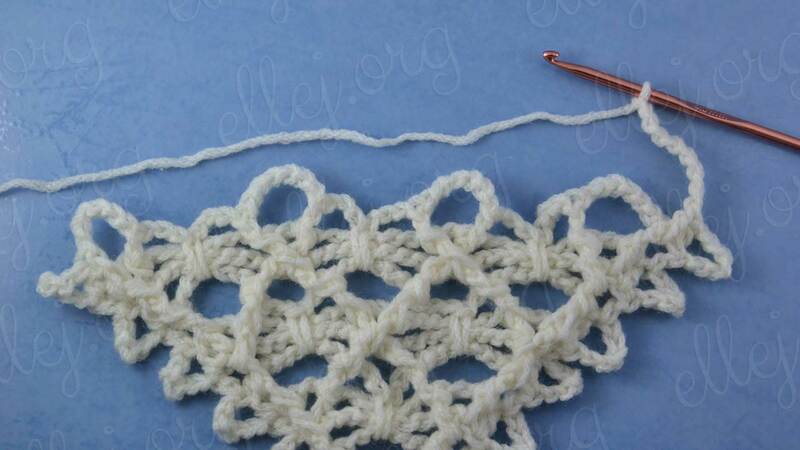 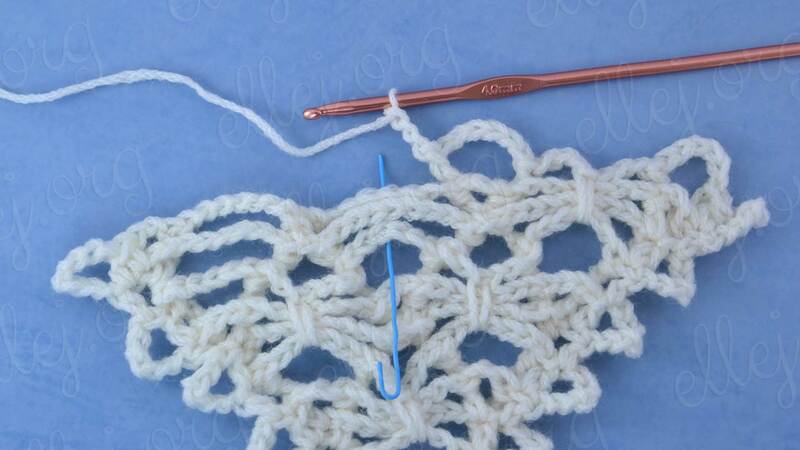 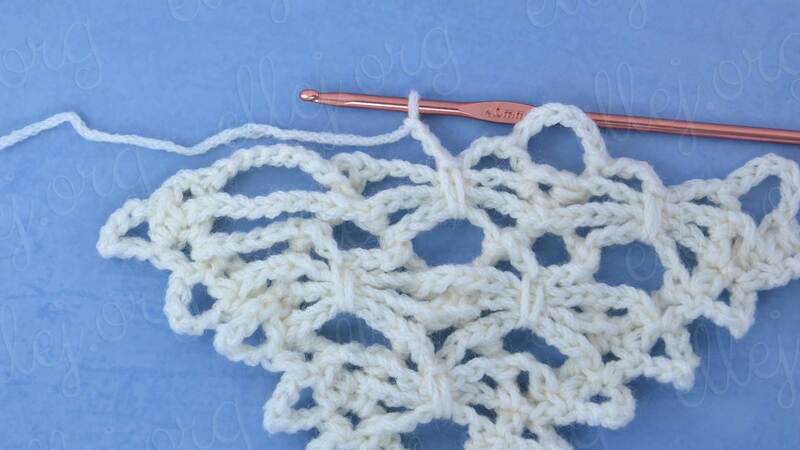 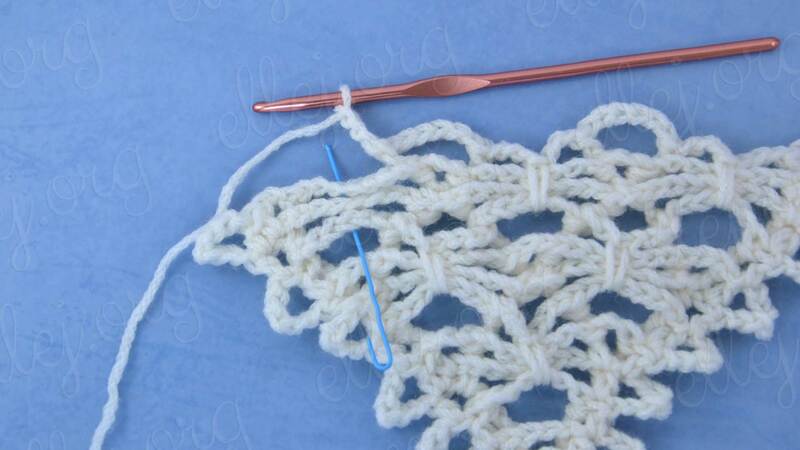 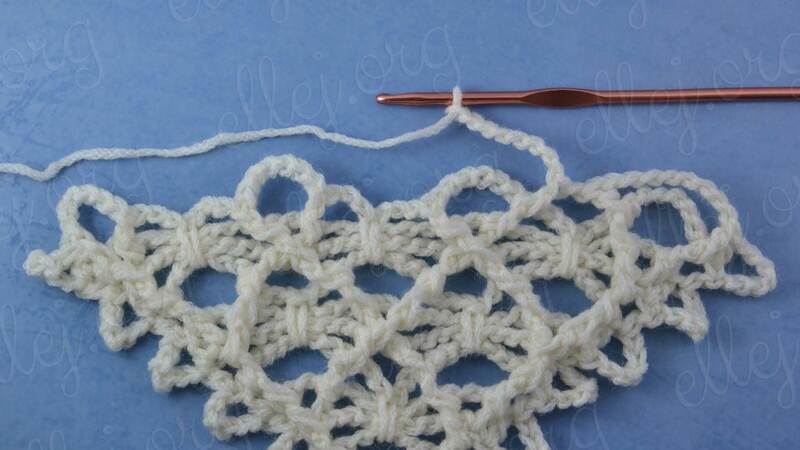 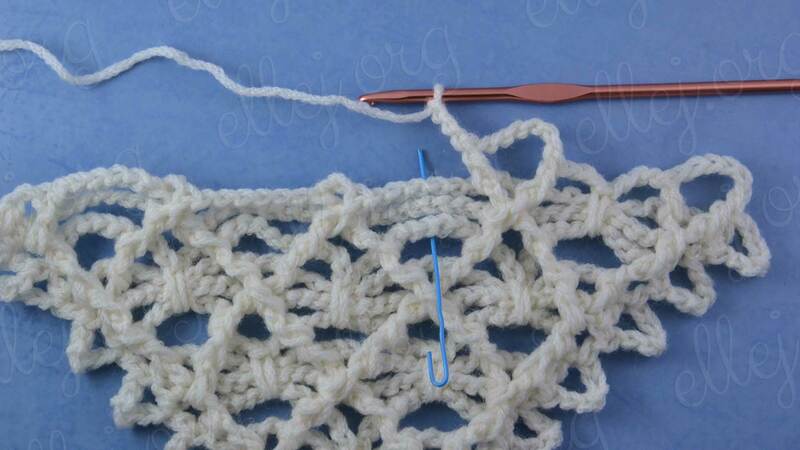 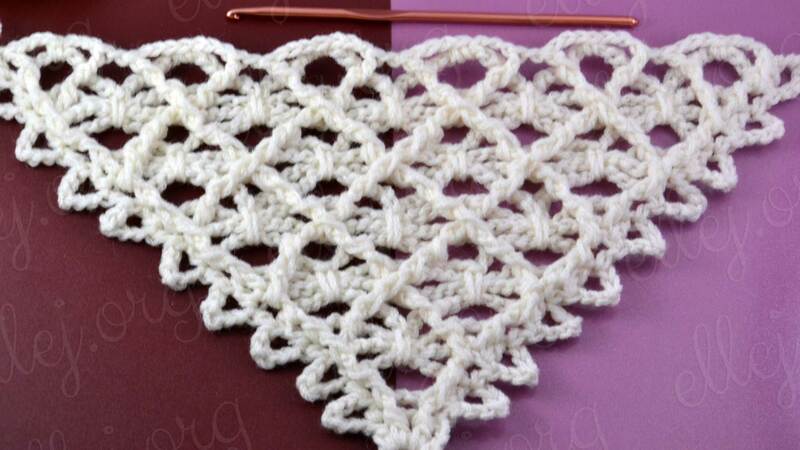 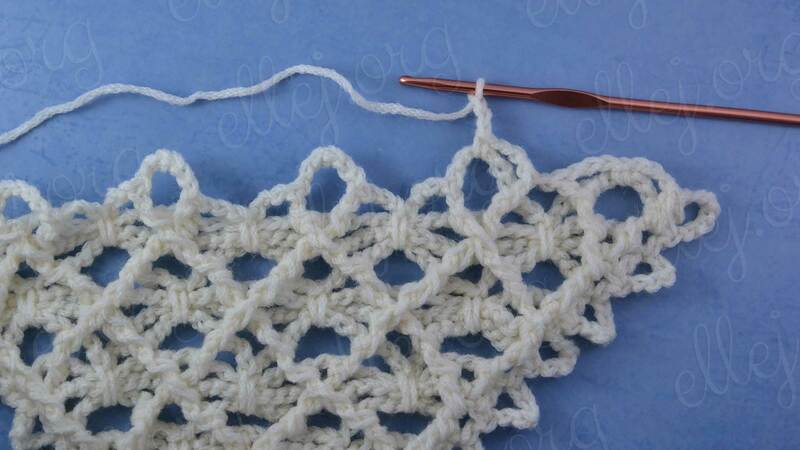 Lacy Spiders Shawl Crochet Stitch is quite difficult for beginners. 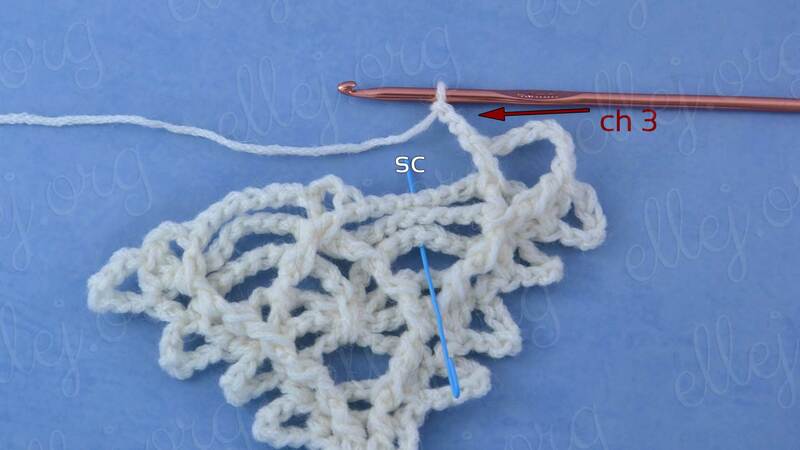 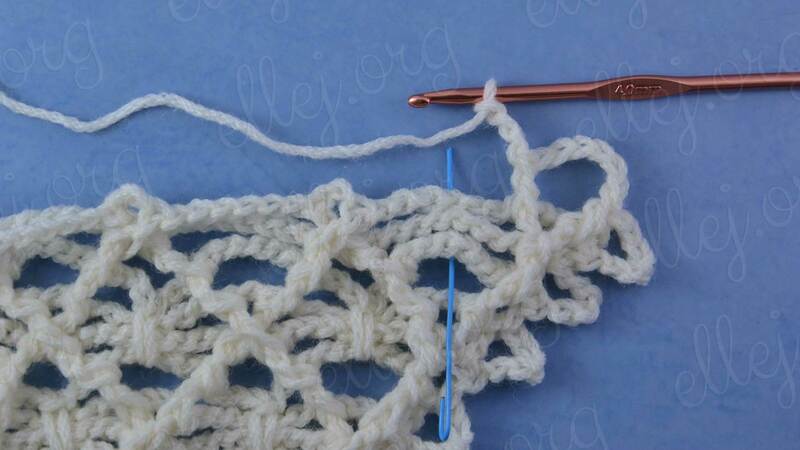 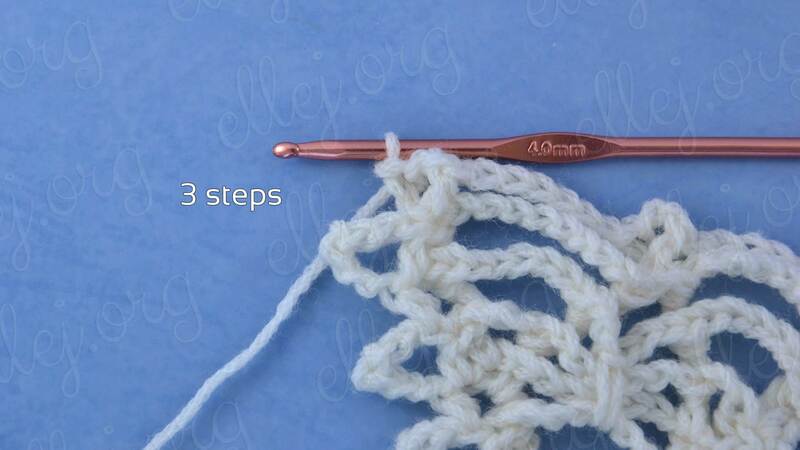 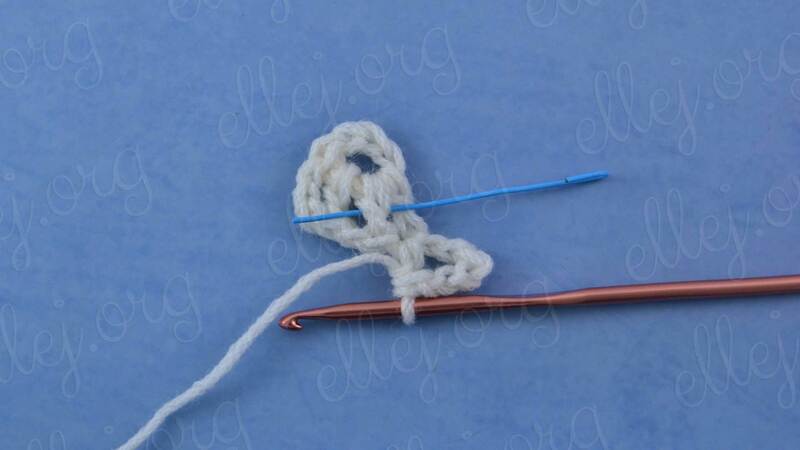 So you need to get used to work front post, back post and crossed double crochets before start on crocheting. 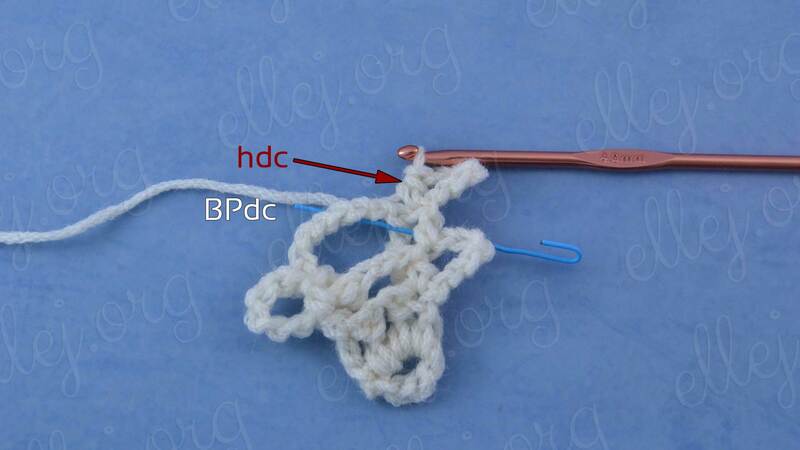 I hope, that for experienced difficulty does not arise. 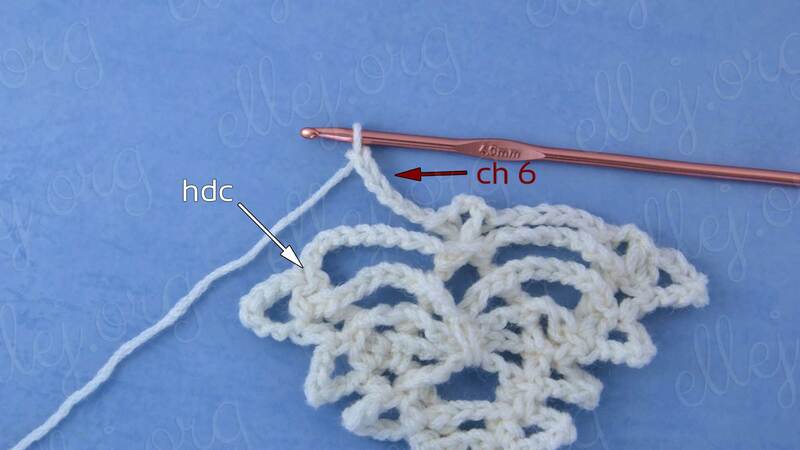 To make it even easier, I’ll give some hints. 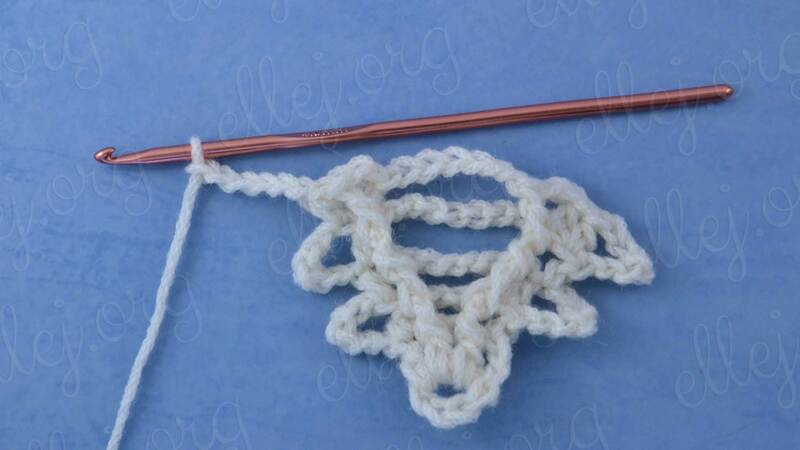 Row “Spiders”. 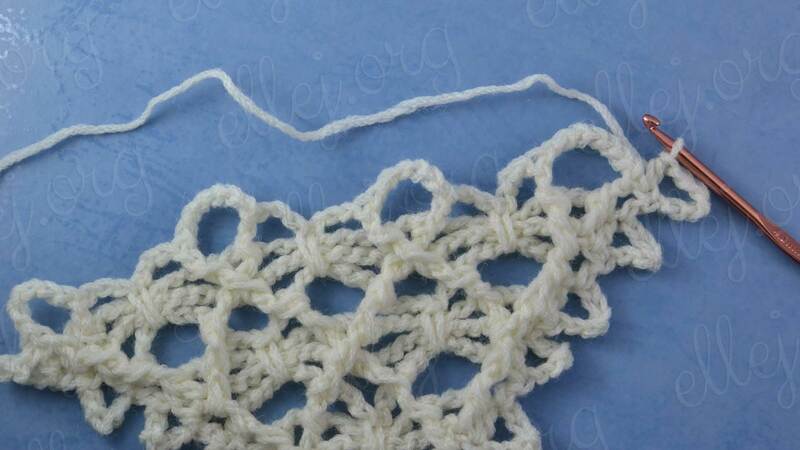 Are rows in which we make chain spiders. 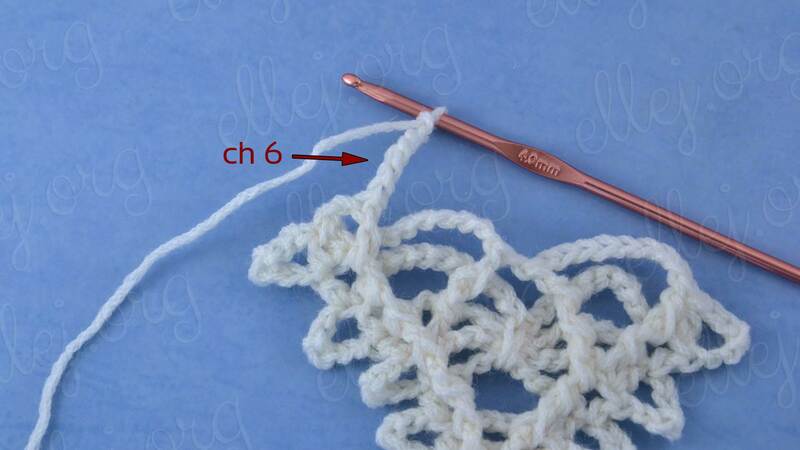 Row “Eight”. 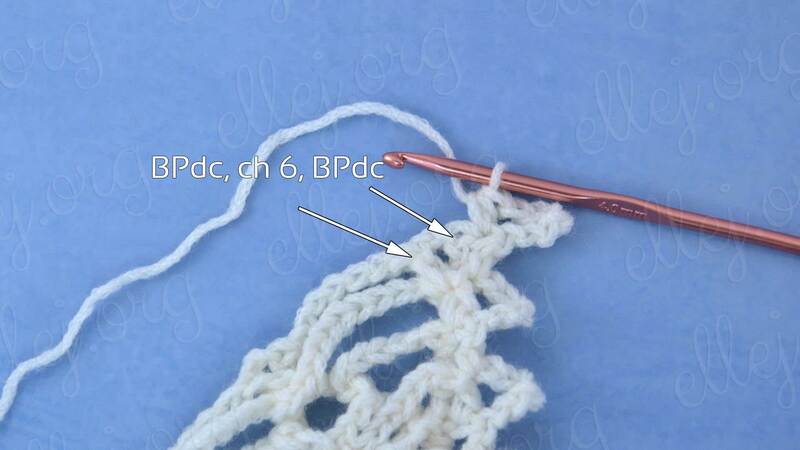 Row with 8-loops chains. 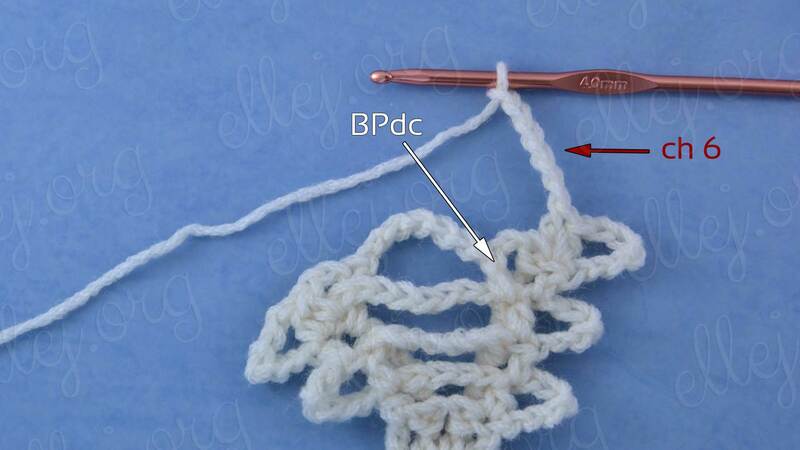 Row “Split” is a row, which at the beginning and at the end we do split and inside several working crossed FP/BP dcs. 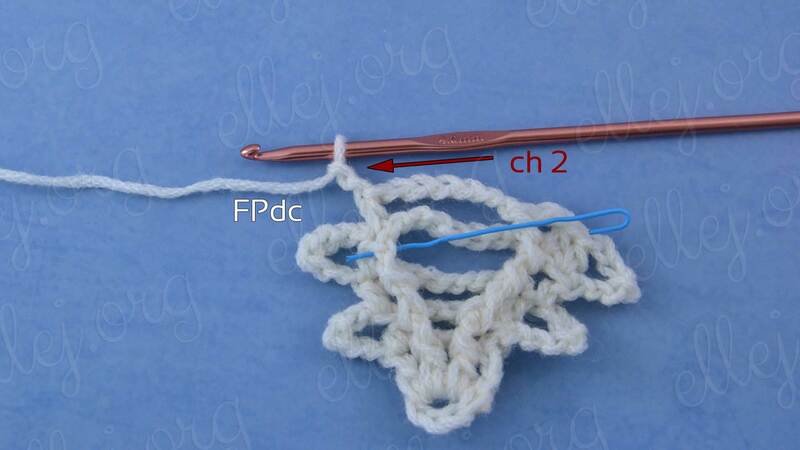 Depending of working side (front or back) we work Front Post or Back dc respectively.On the diagram: “Spiders” rows with FPdcs – blue color, “Spiders” rows with BPdcs – red color. 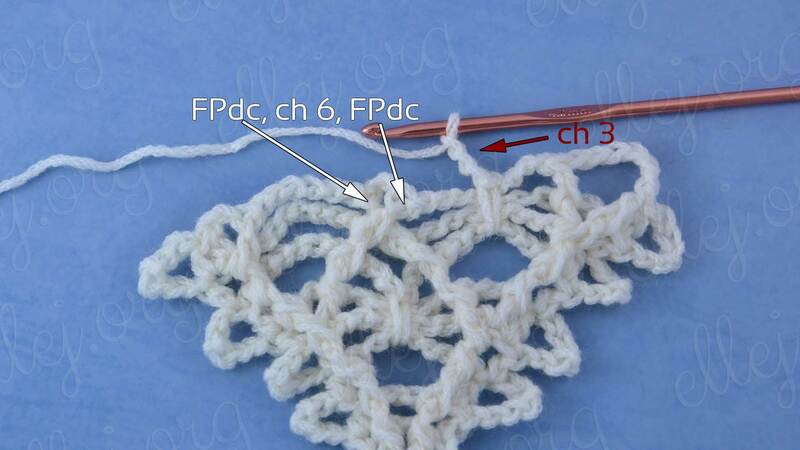 I planing to make the symbol diagram for fabric with “Lacy spiders”, that soon you will be able to see the Patterns+charts Category. 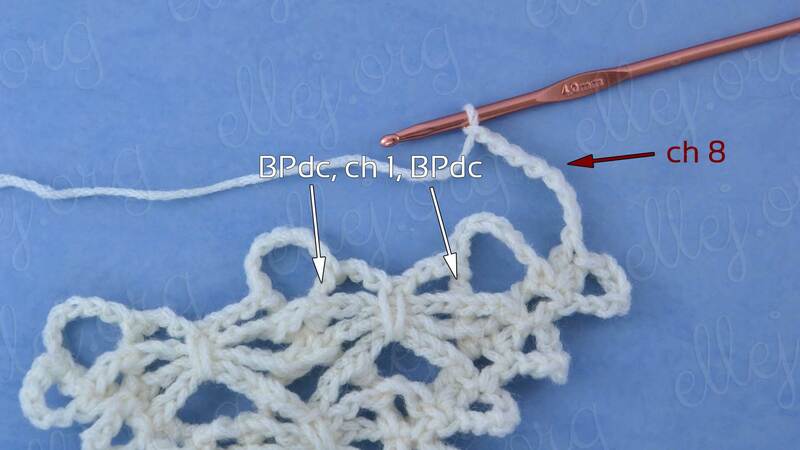 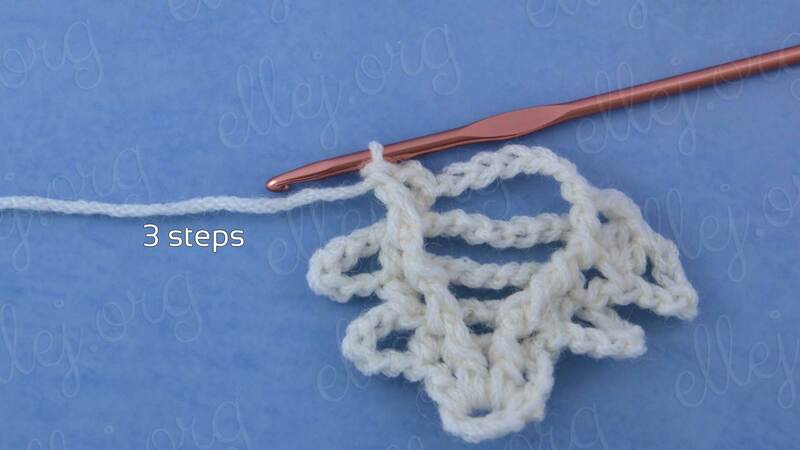 Click on the Ravelry logo to add Lacy Spiders Shawl in your projects. 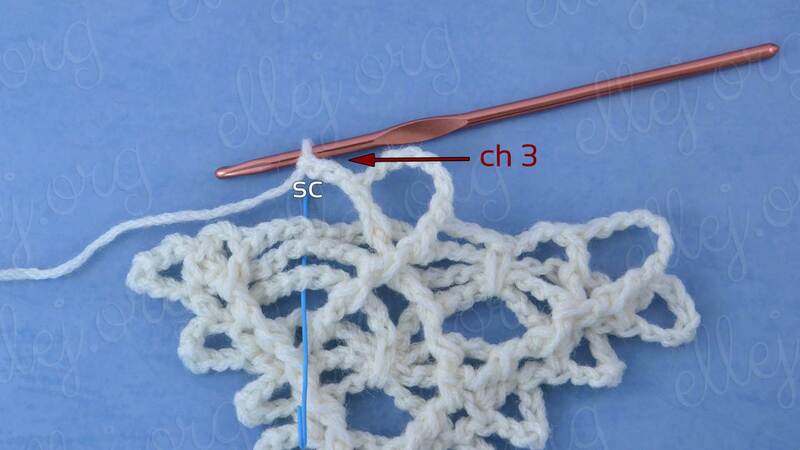 I wish the instructions for the Spider shawl were made into a PDF, as the tutorial pictures will not copy so I can follow when not on the computer. 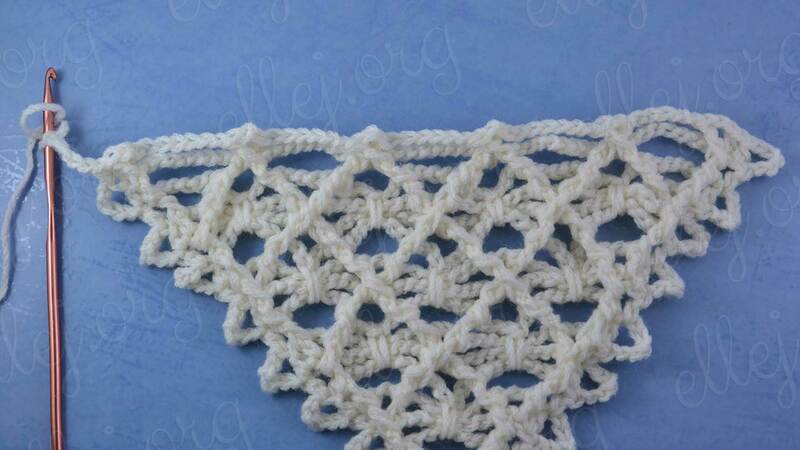 Beautiful shawl, just can’t follow pictures alone. 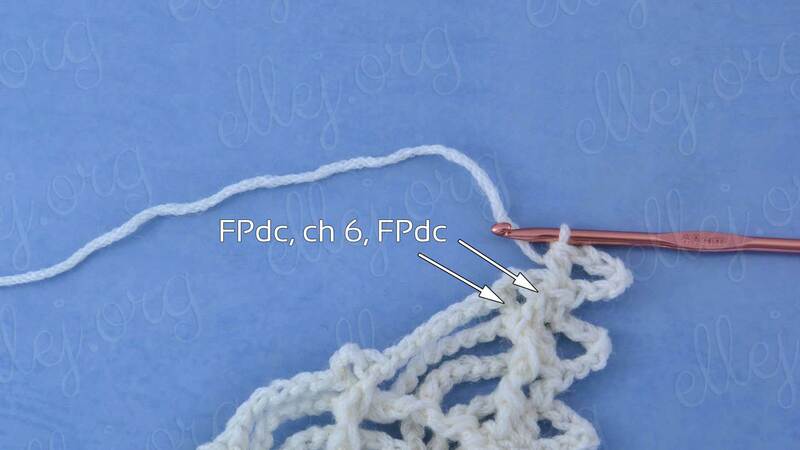 I have not done a PDF yet. 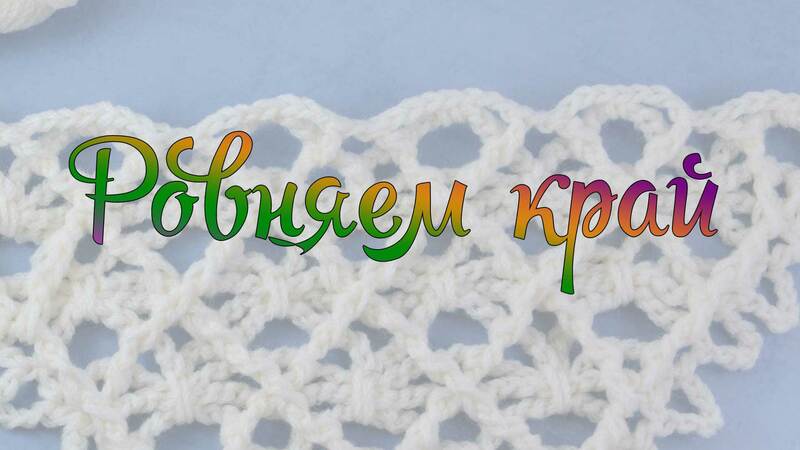 I’ll try to do it. 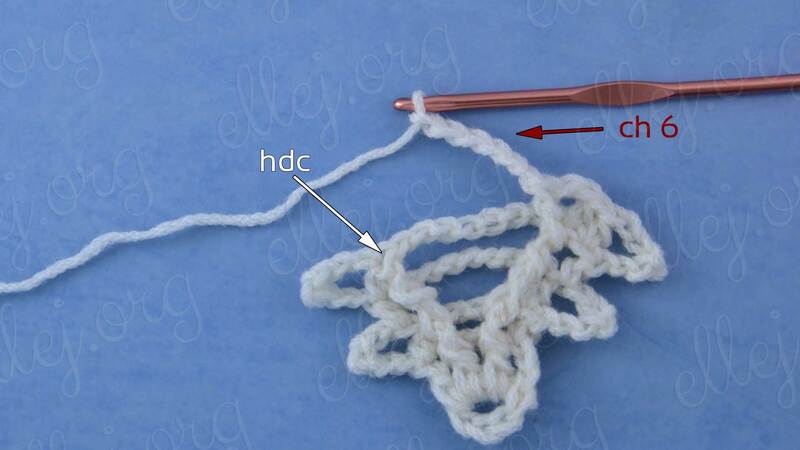 In a few days. 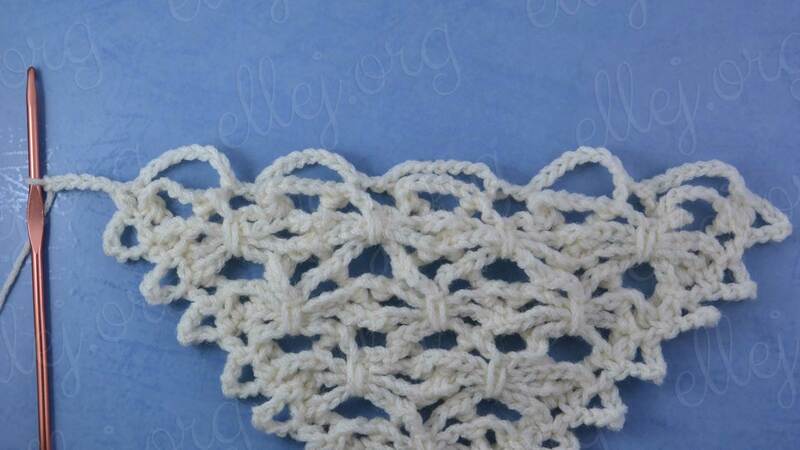 Thank you Ellej, it is greatly appreciated. 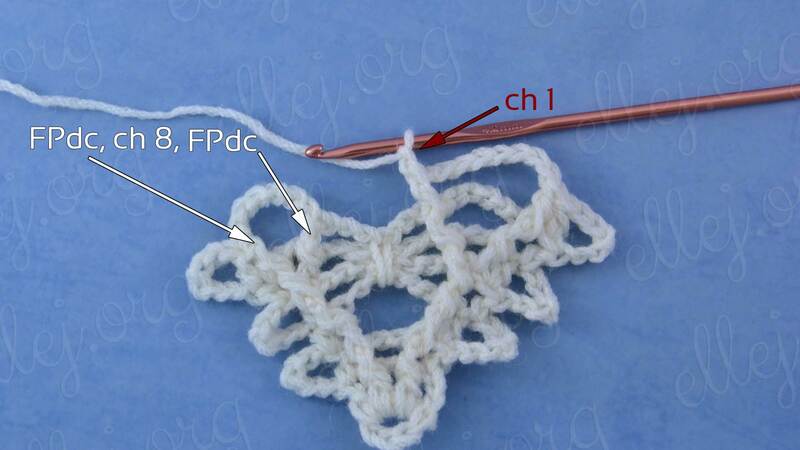 It is such a beautiful piece and I want to make sure I do it correctly. 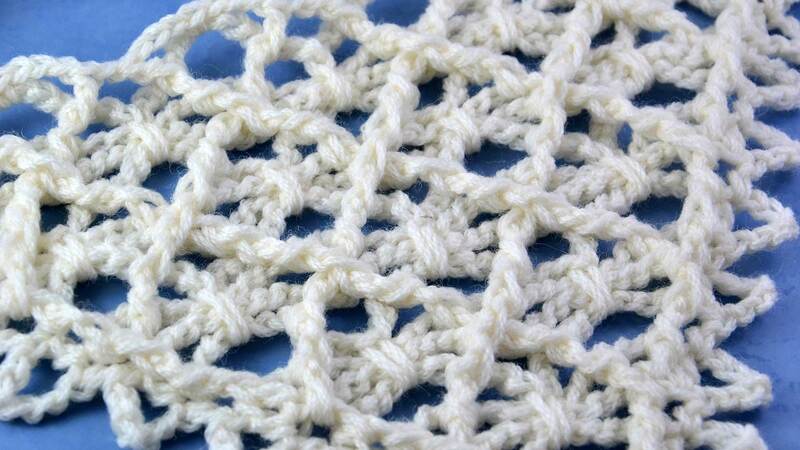 Thank you for sharing your creativity, your time, your talent and your patterns.